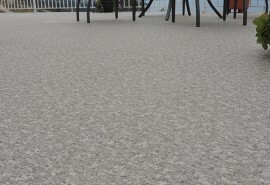 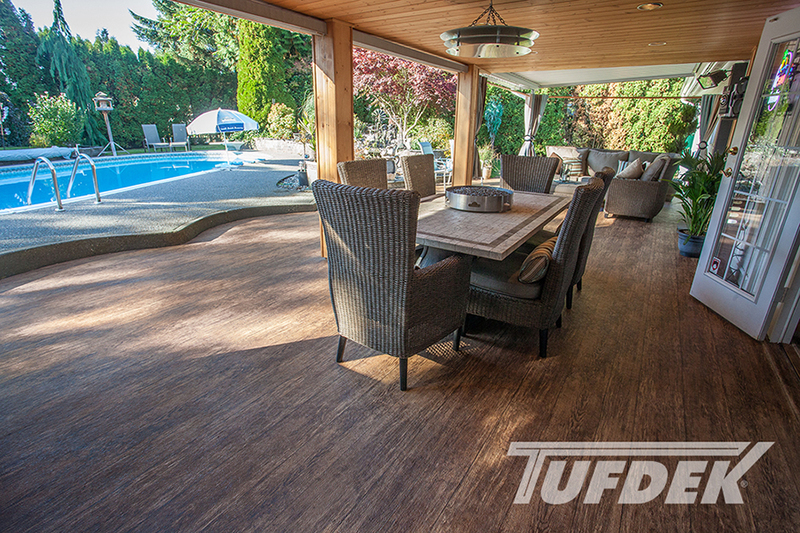 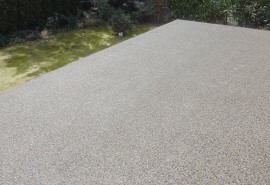 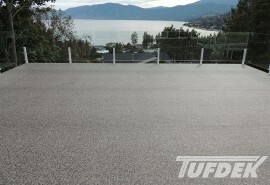 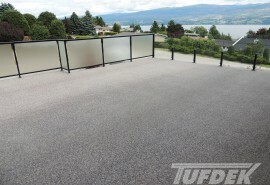 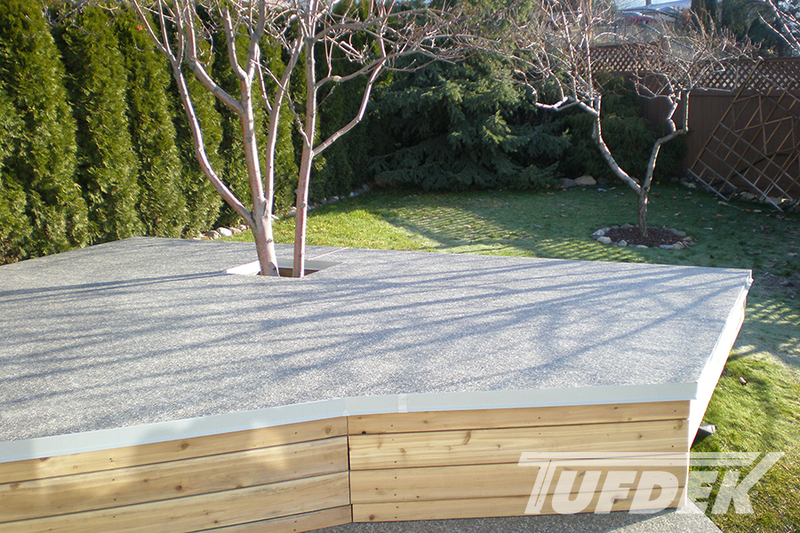 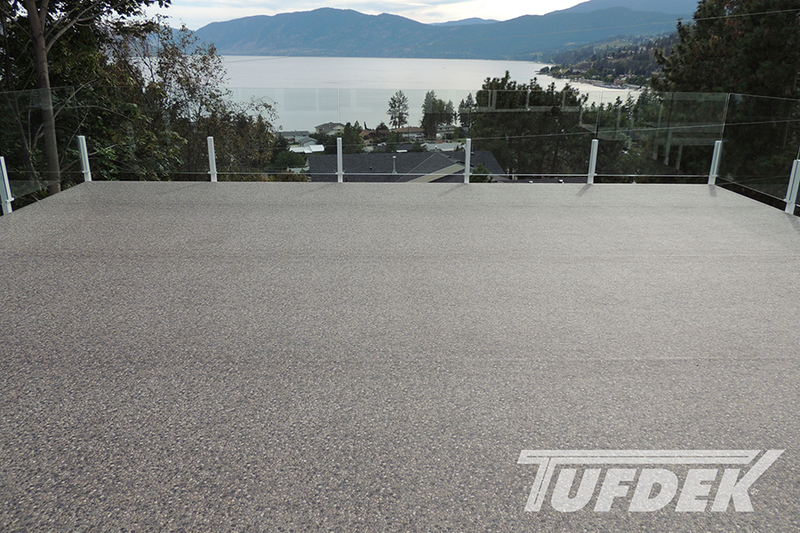 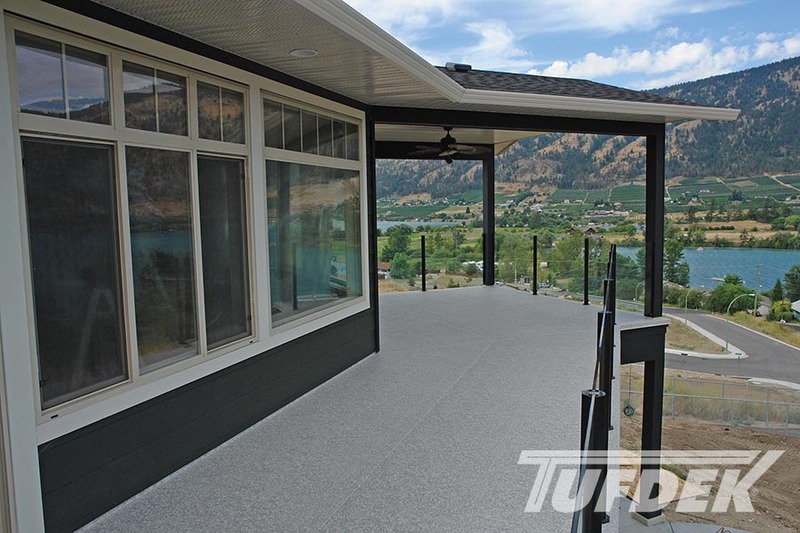 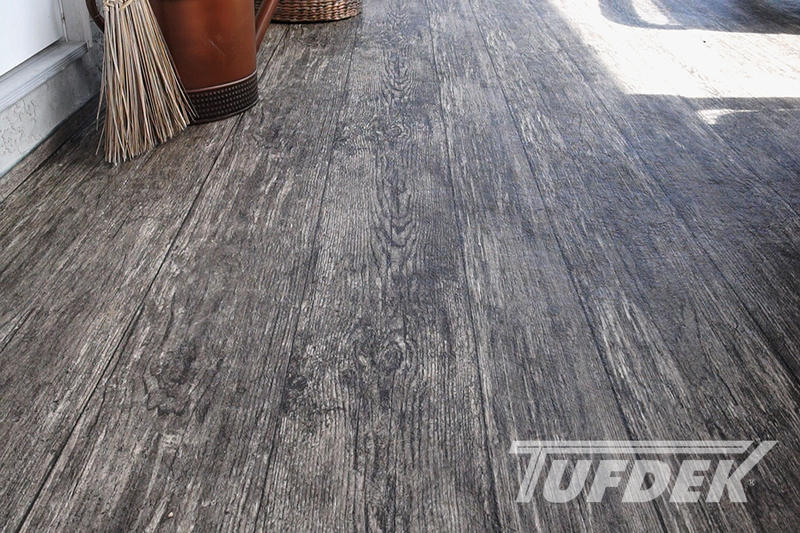 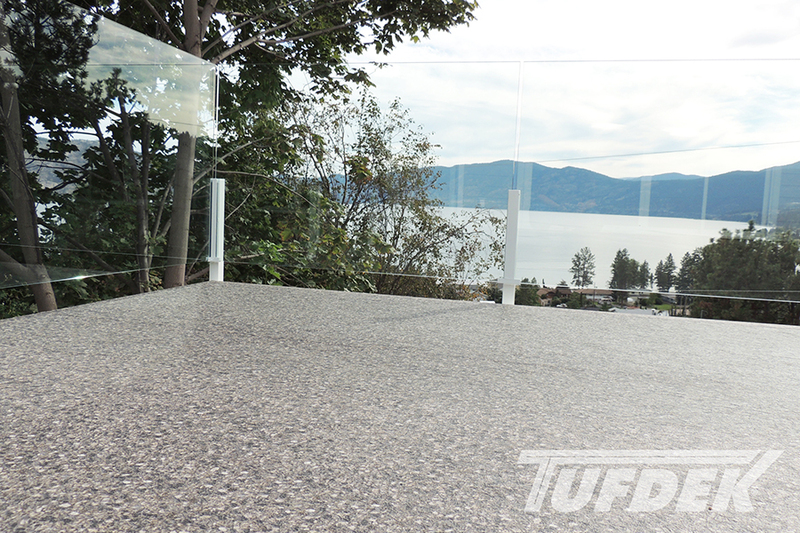 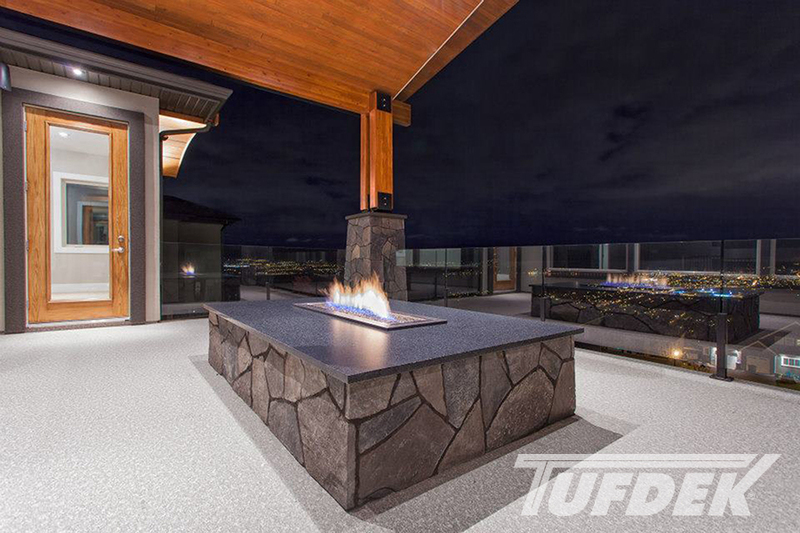 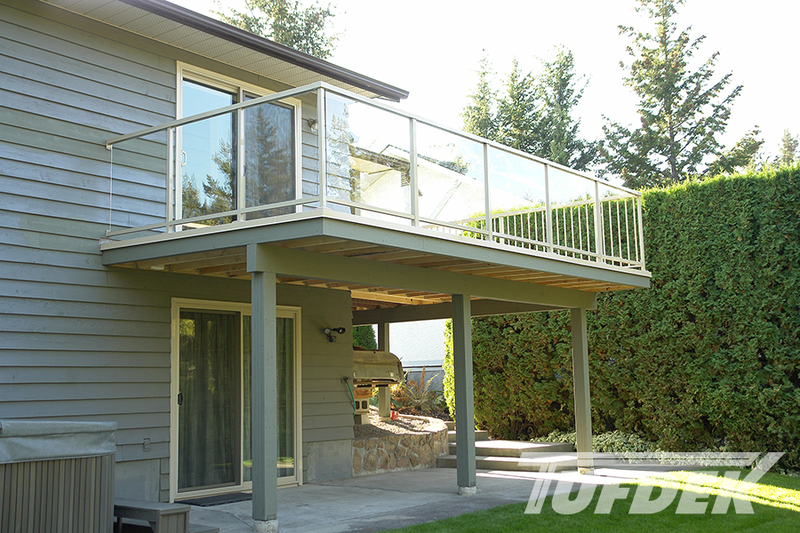 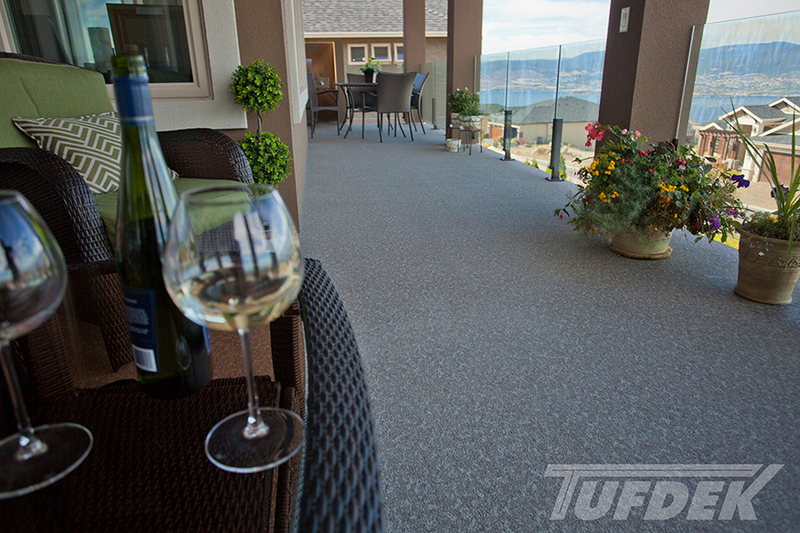 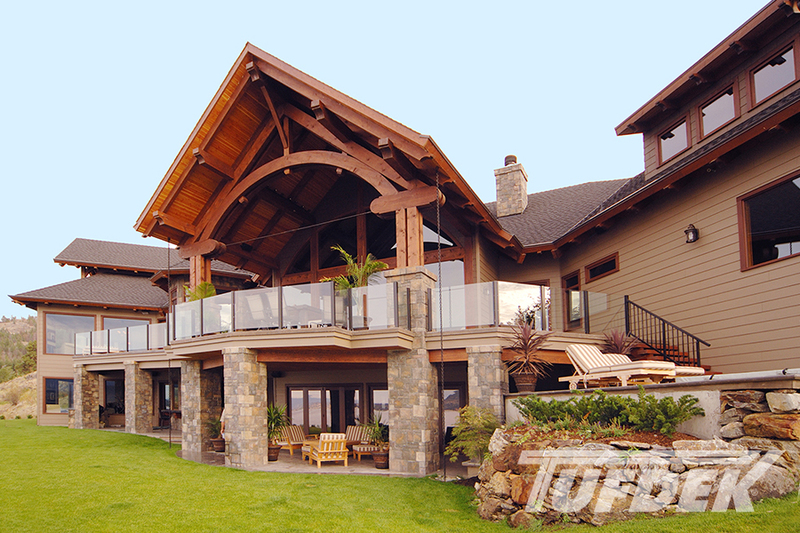 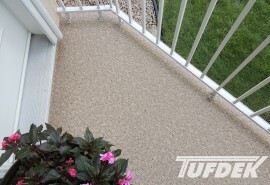 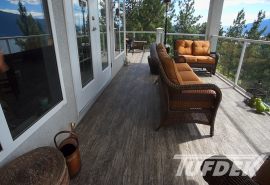 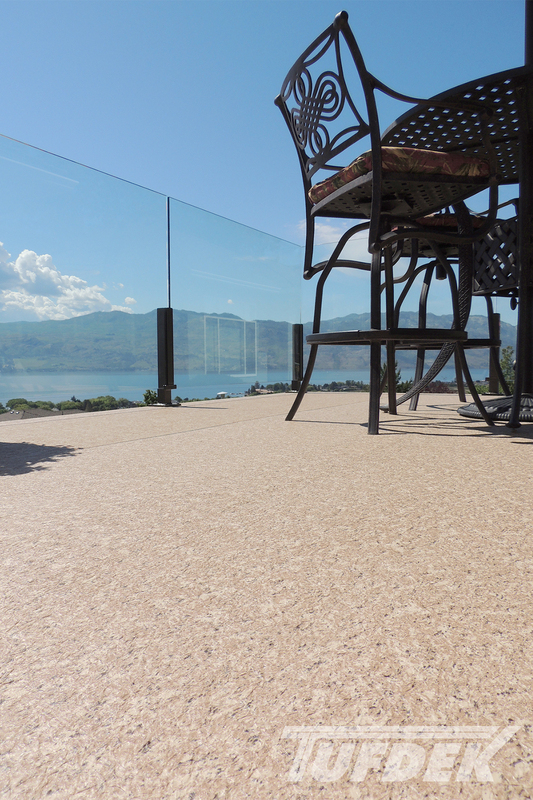 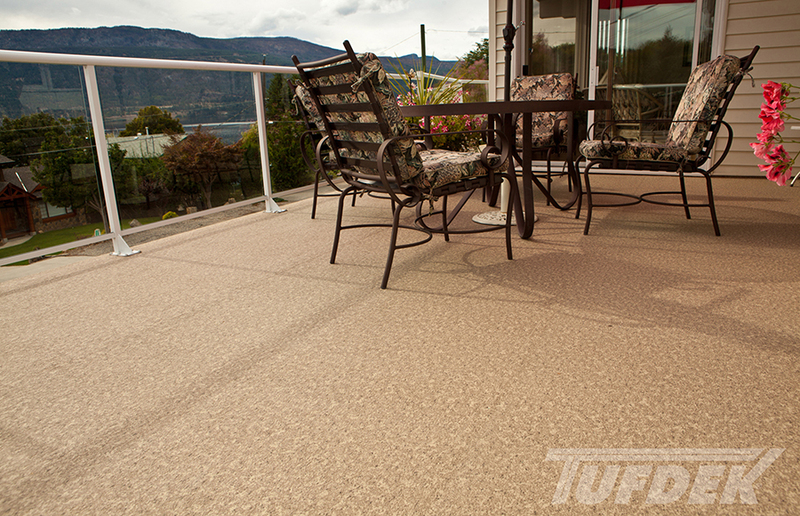 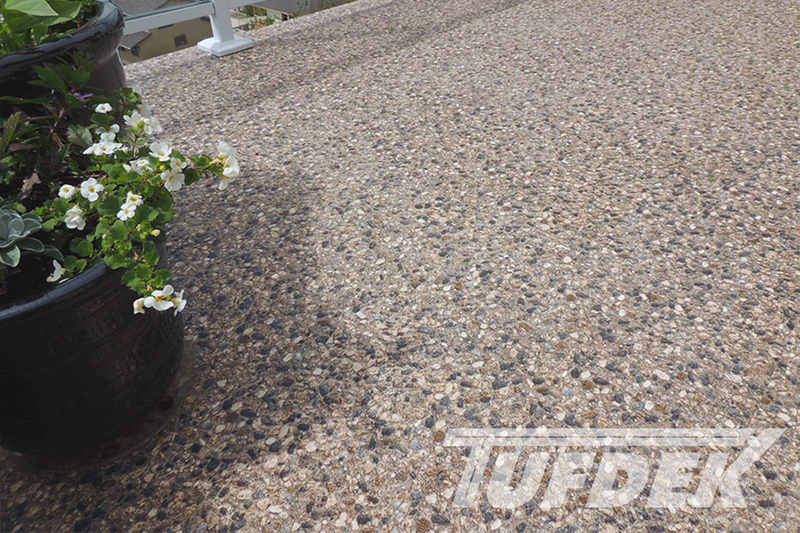 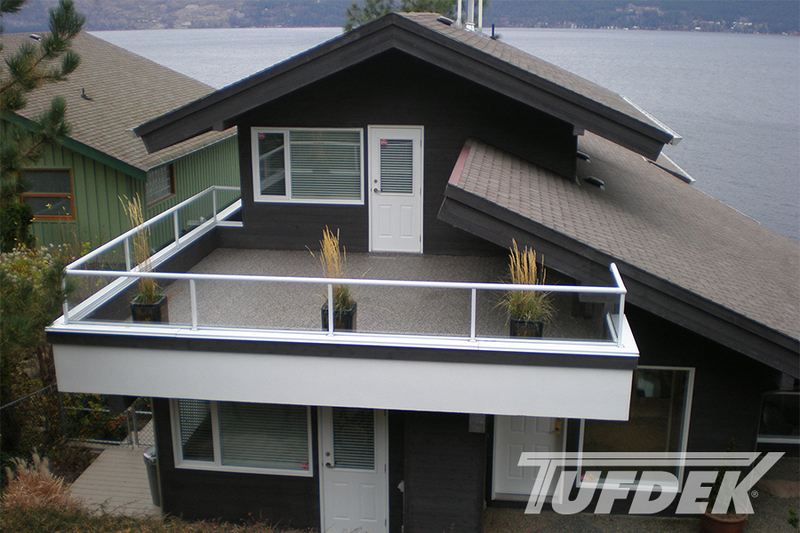 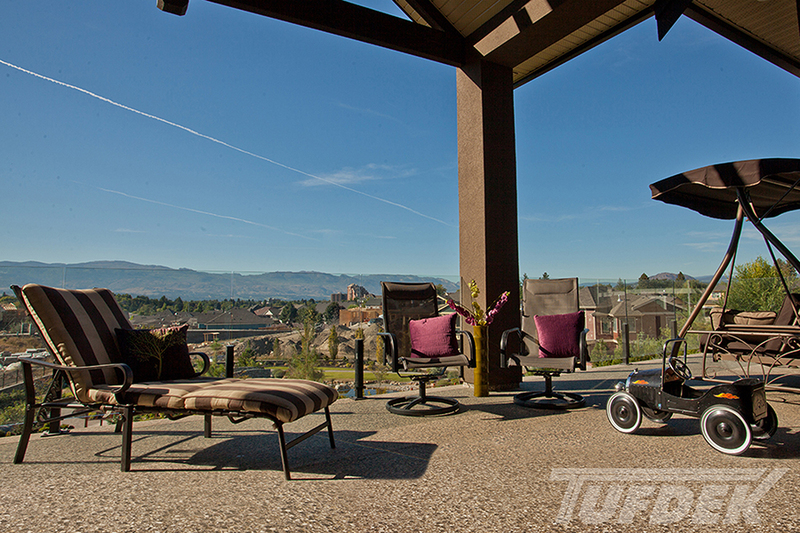 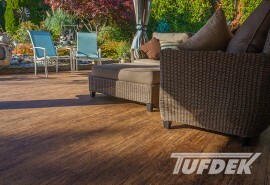 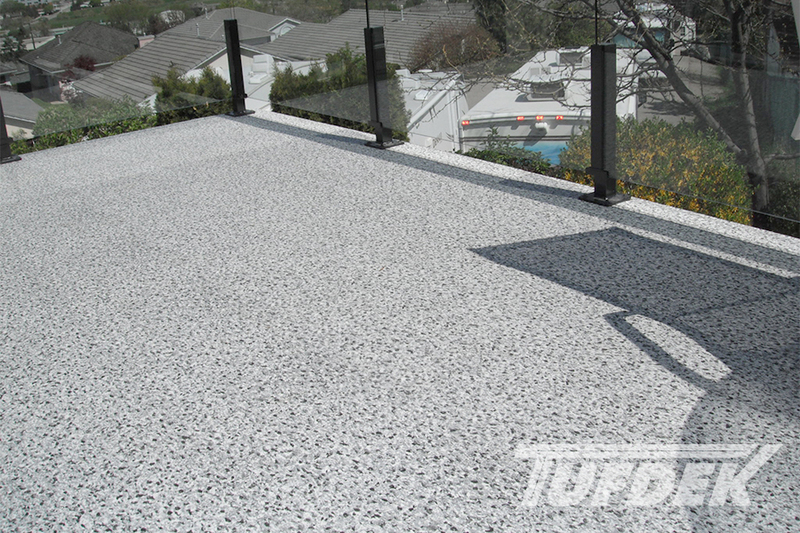 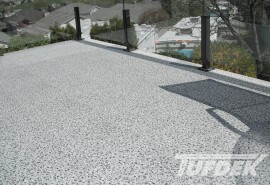 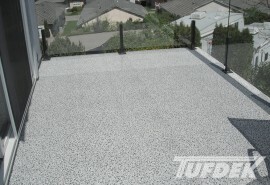 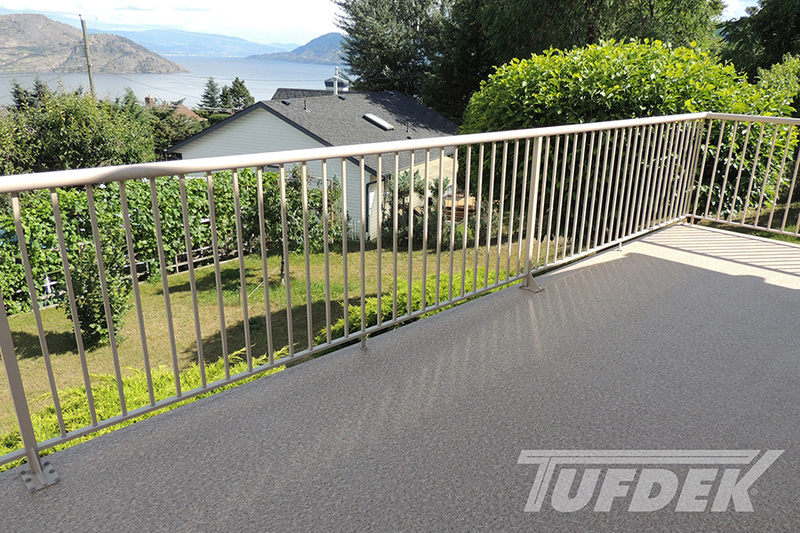 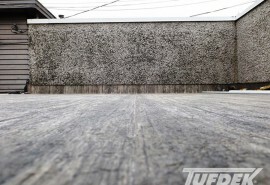 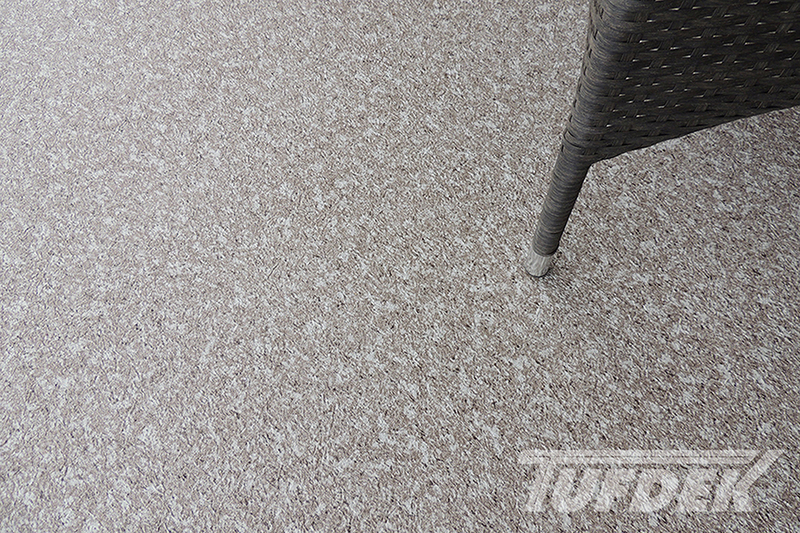 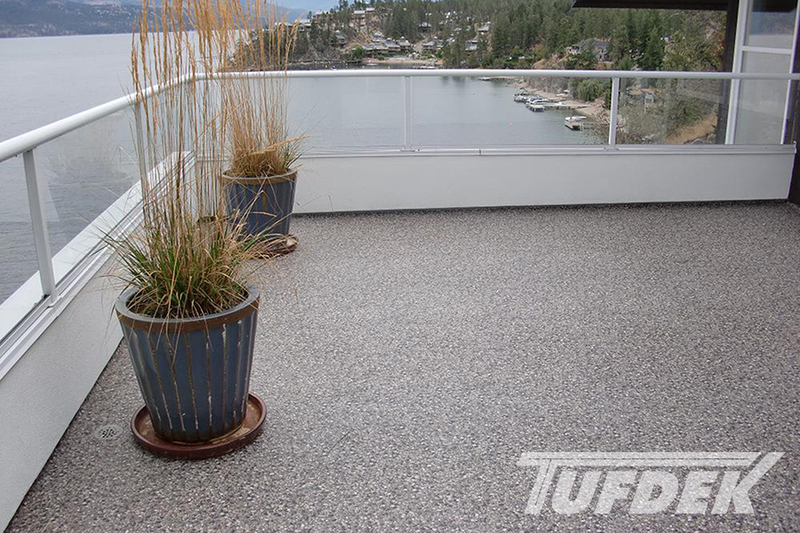 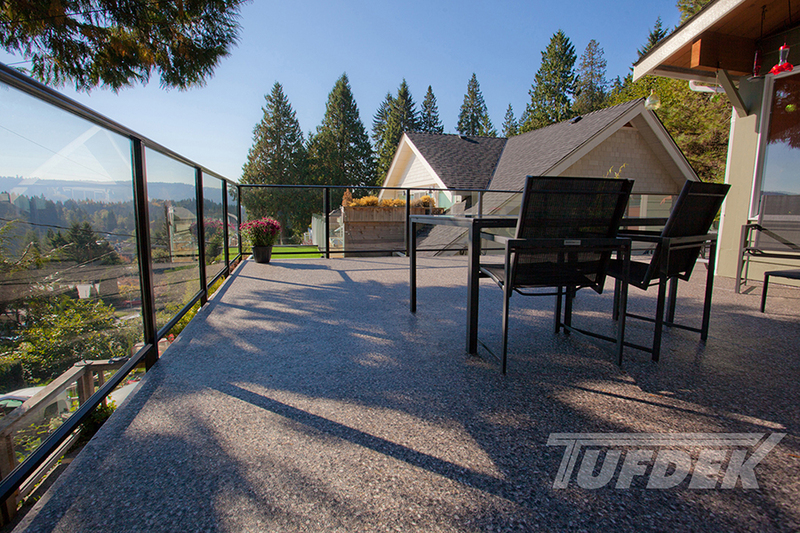 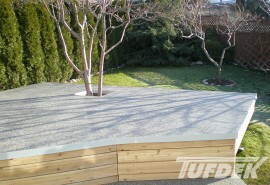 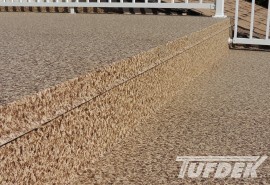 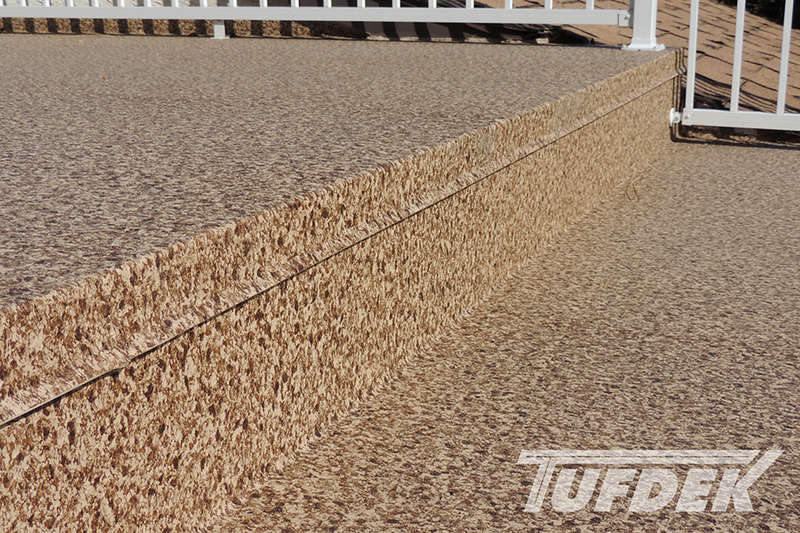 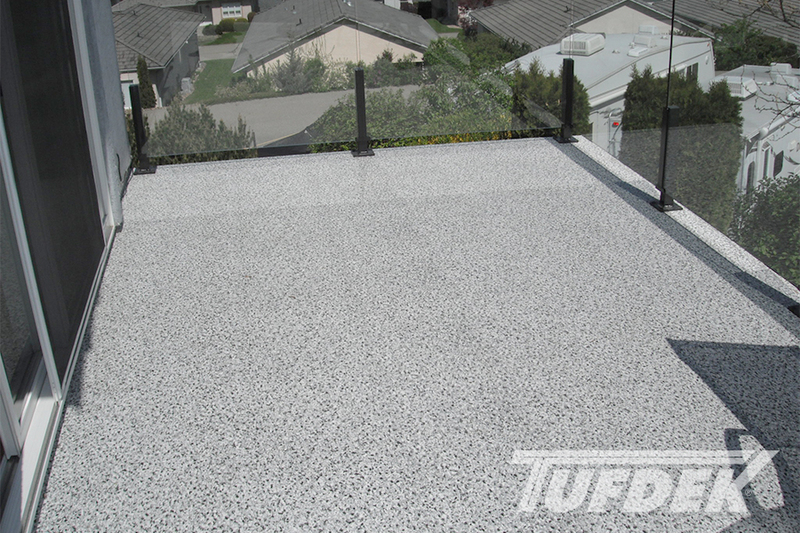 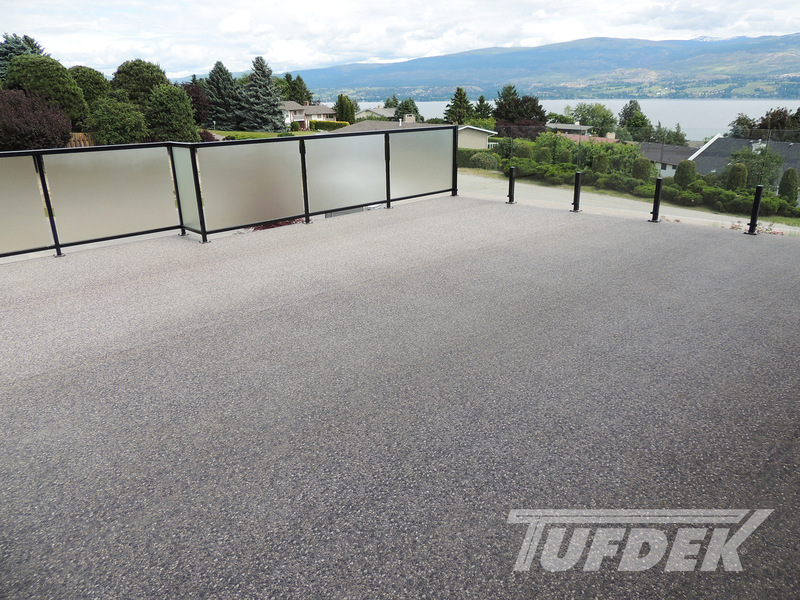 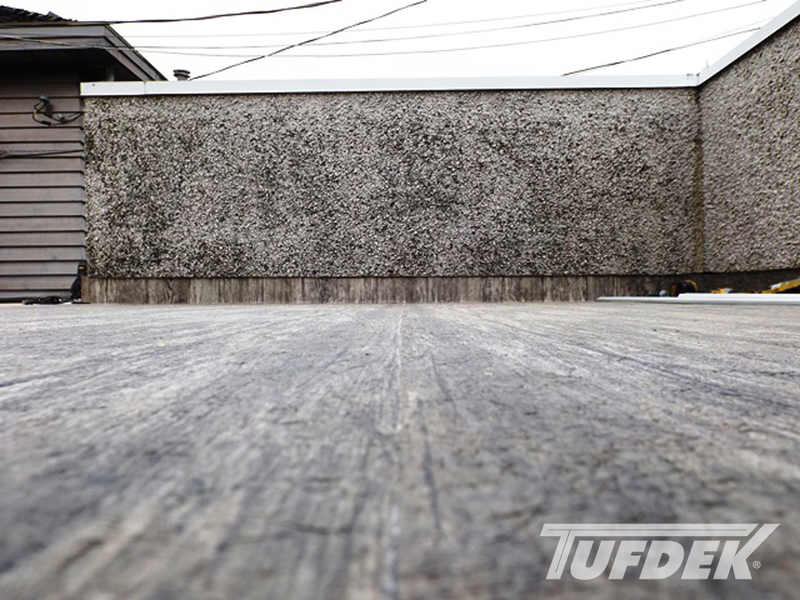 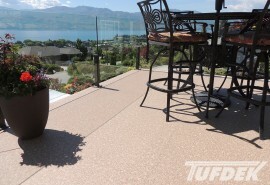 Whether for a roof deck, patio, balcony, sundeck, or pool surround, Tufdek™ is a terrific choice when it comes to selecting an outdoor waterproof deck flooring option that will stand up to the challenges of family life. 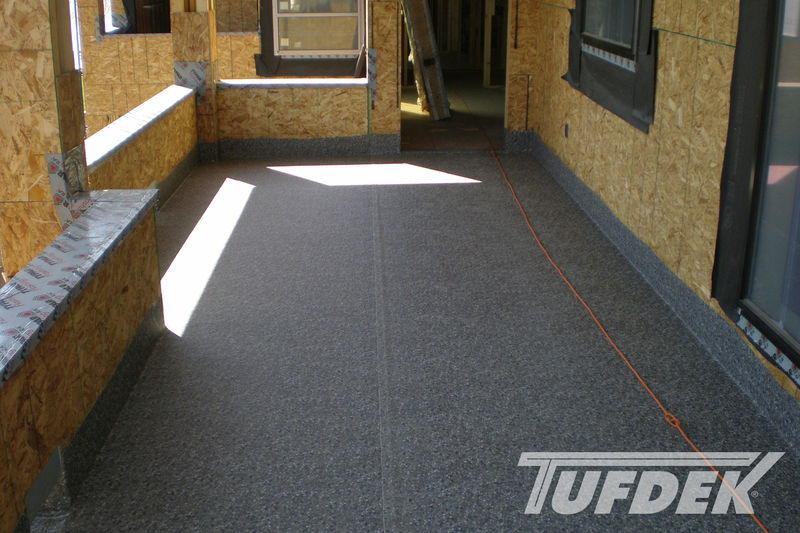 Not only does Tufdek waterproof flooring look terrific, it is manufactured to exacting standards to ensure that it will last. 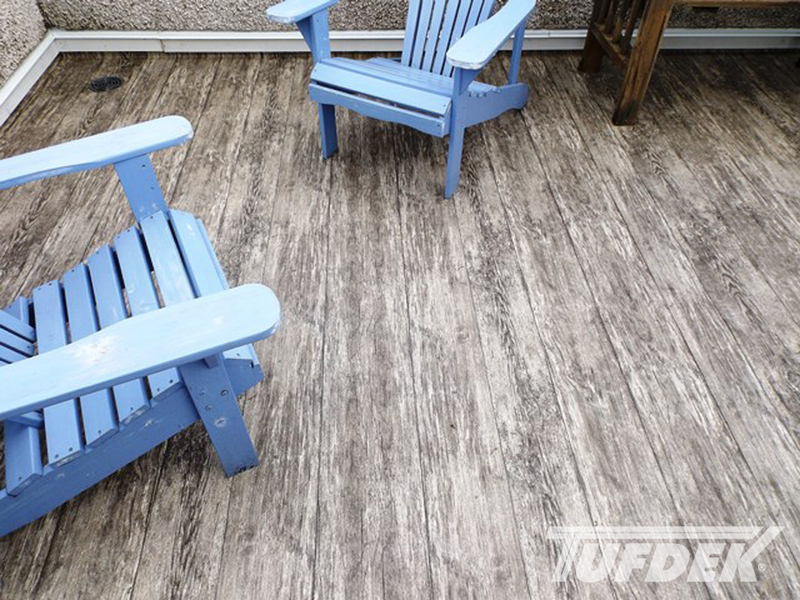 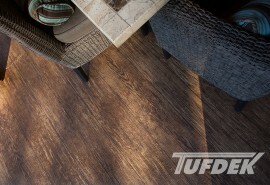 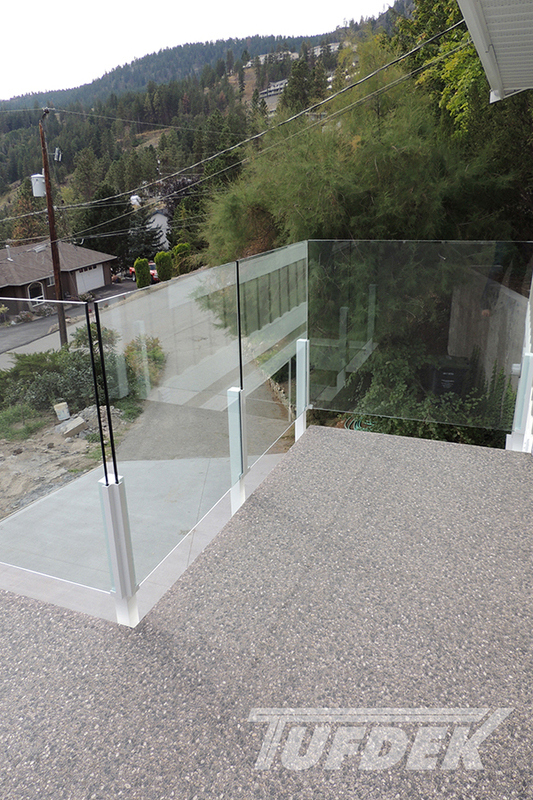 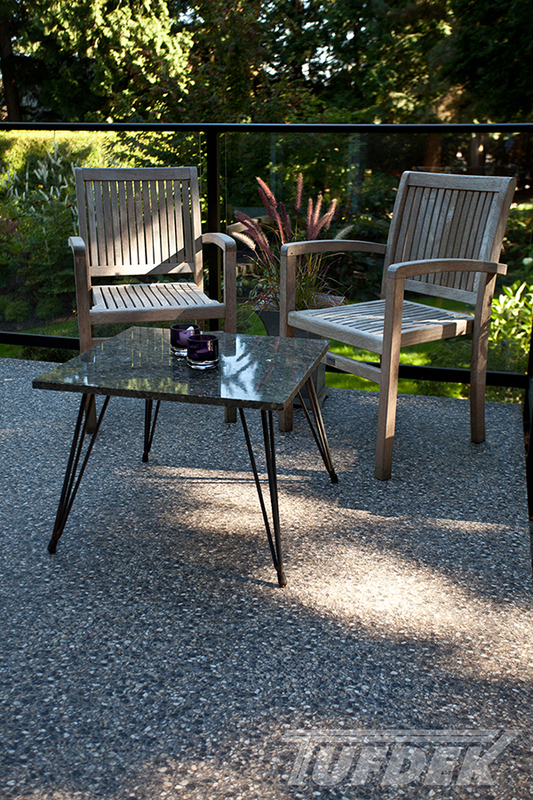 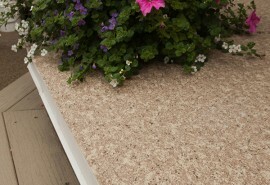 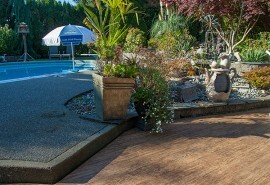 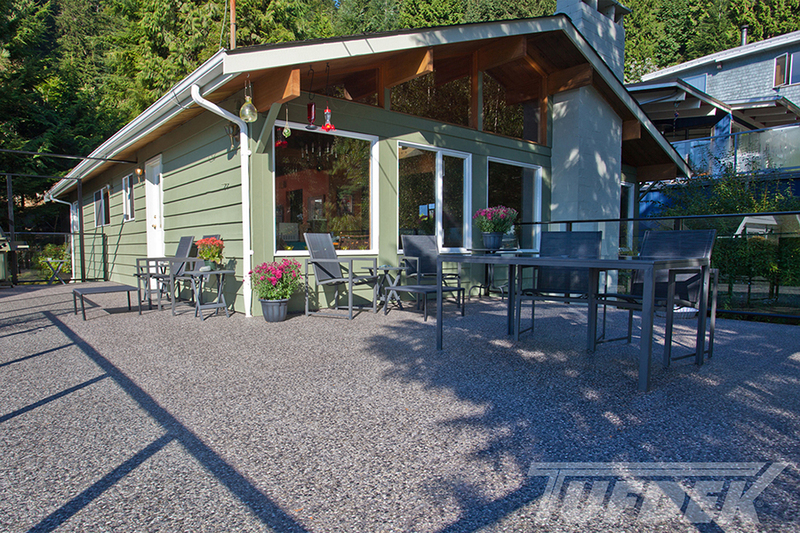 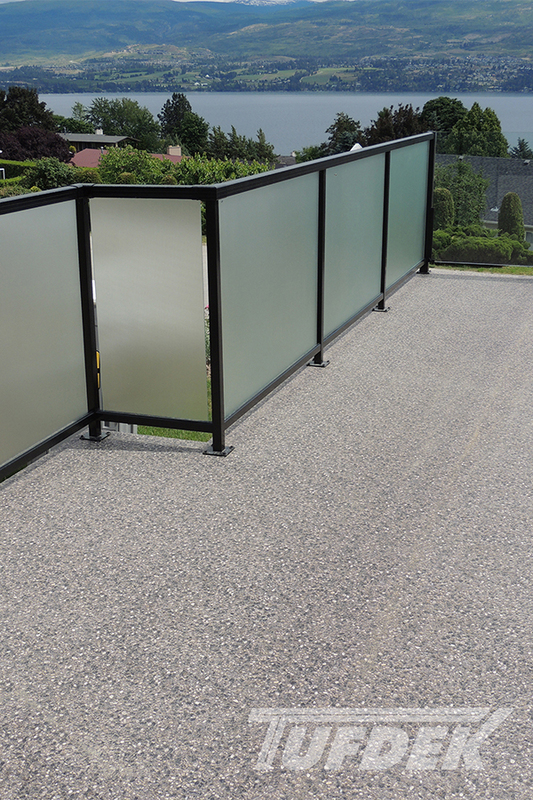 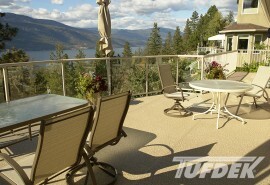 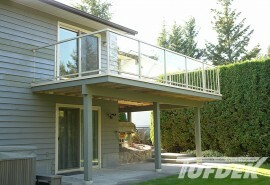 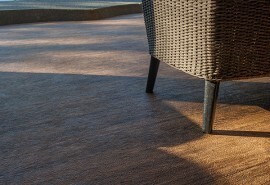 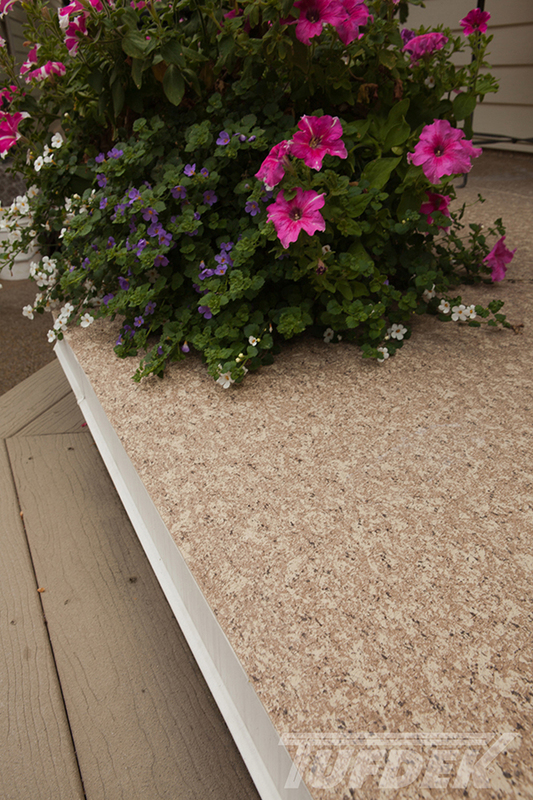 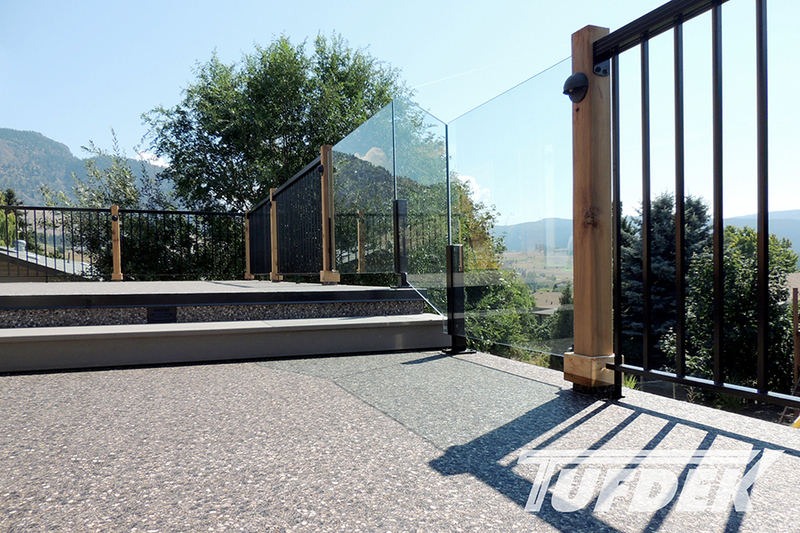 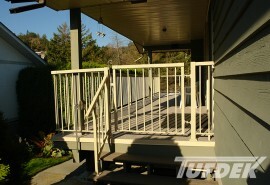 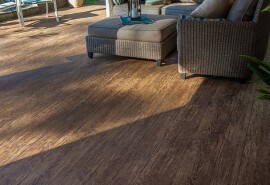 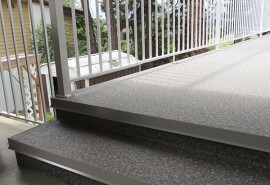 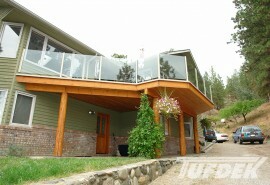 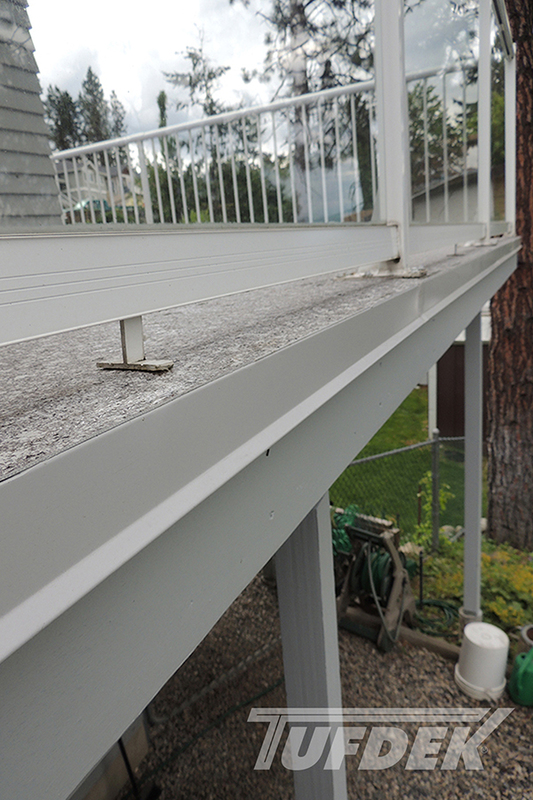 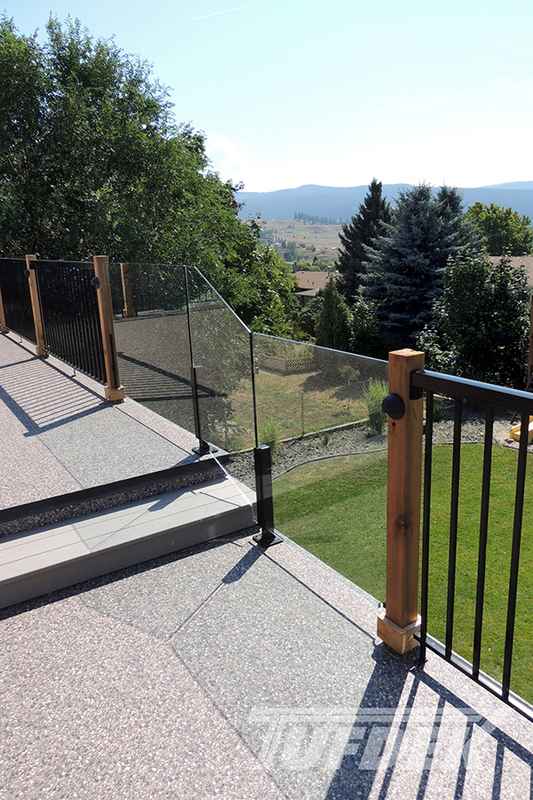 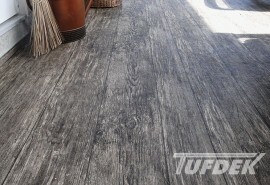 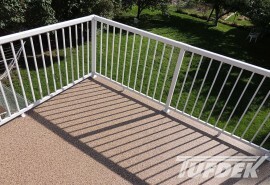 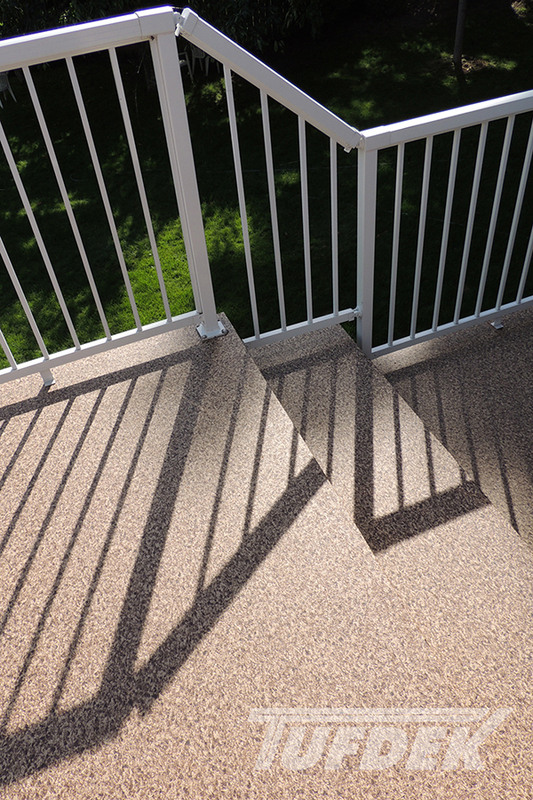 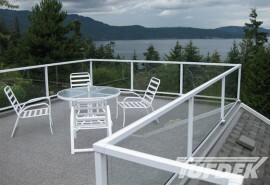 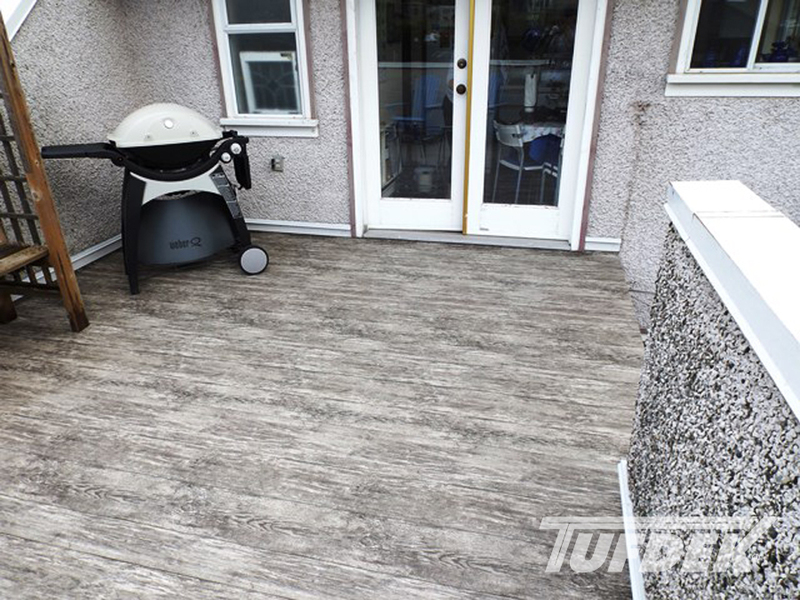 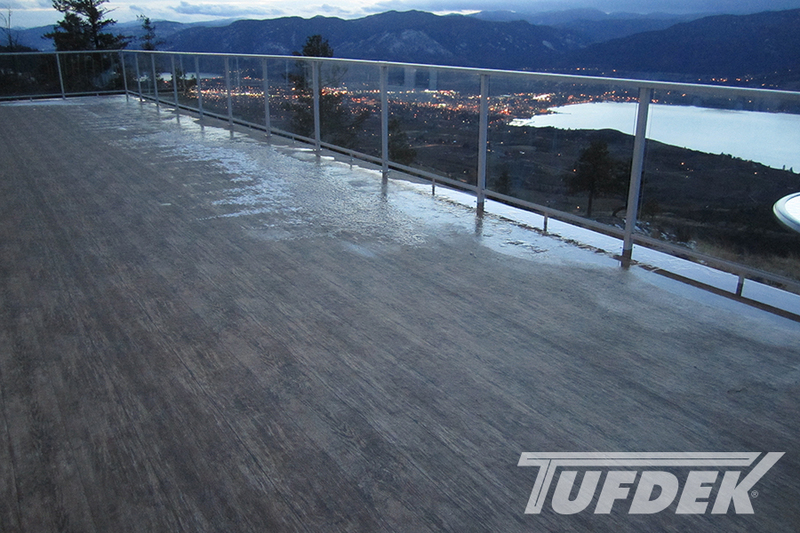 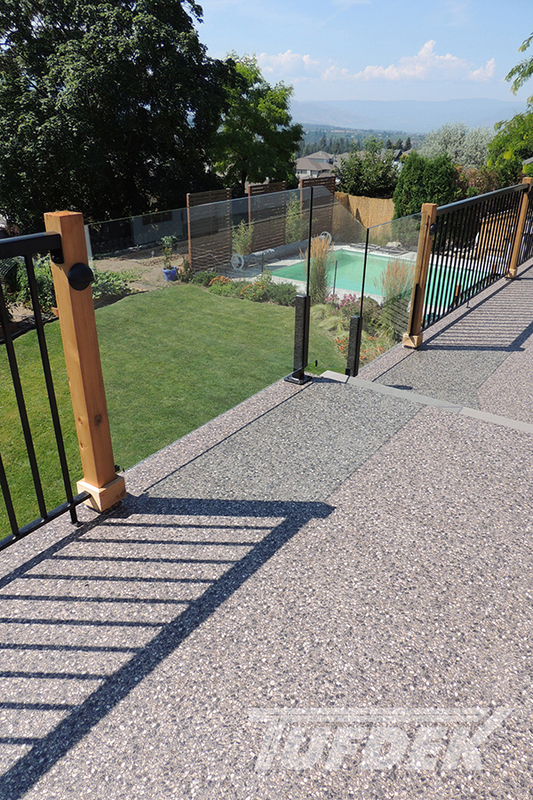 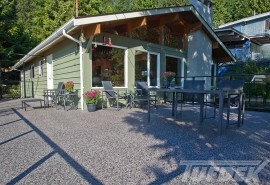 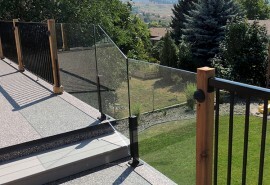 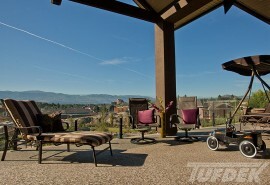 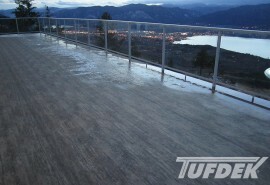 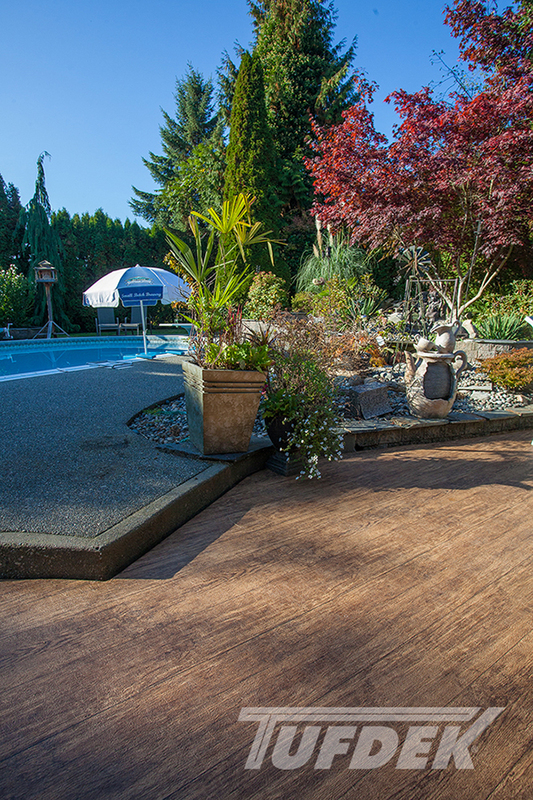 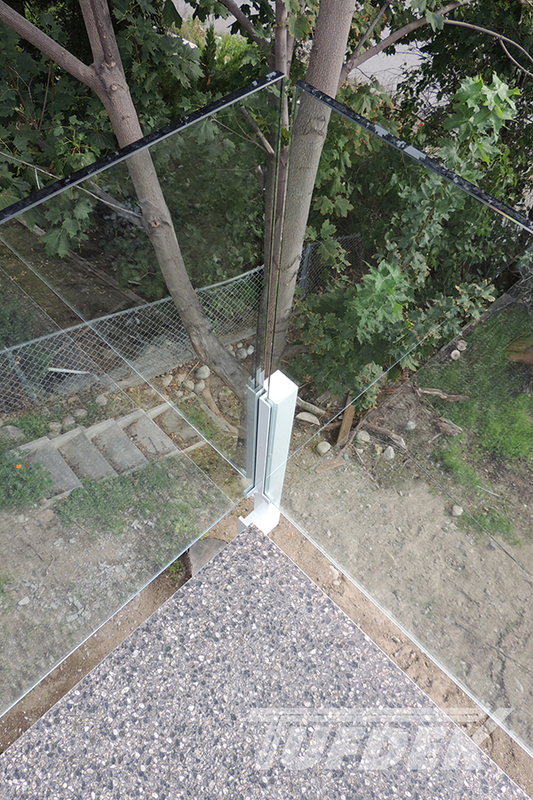 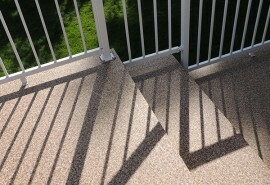 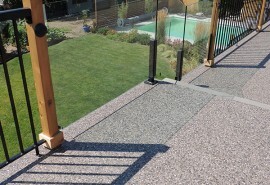 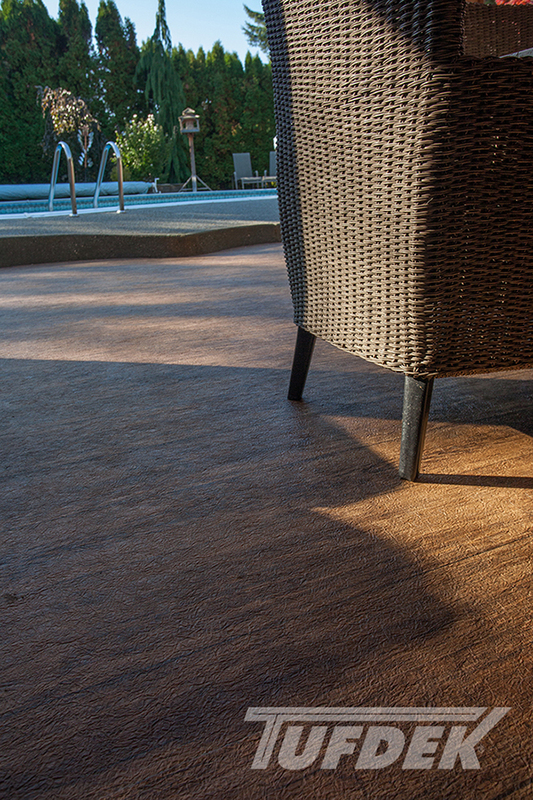 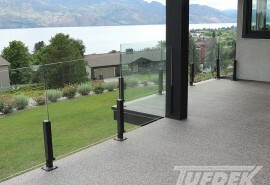 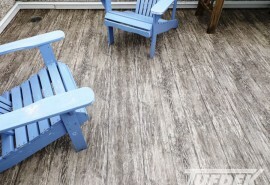 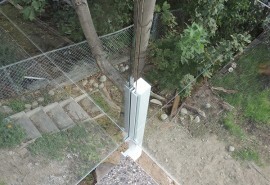 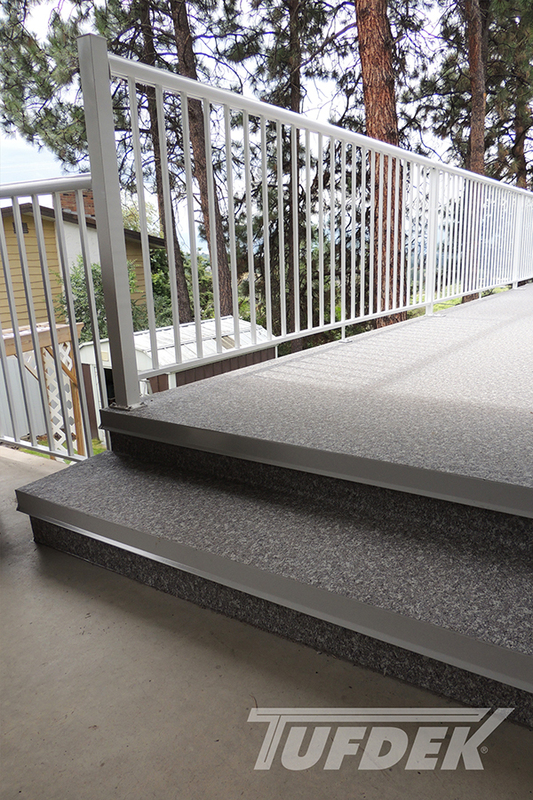 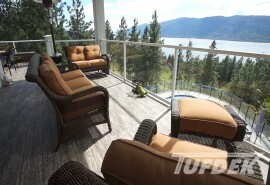 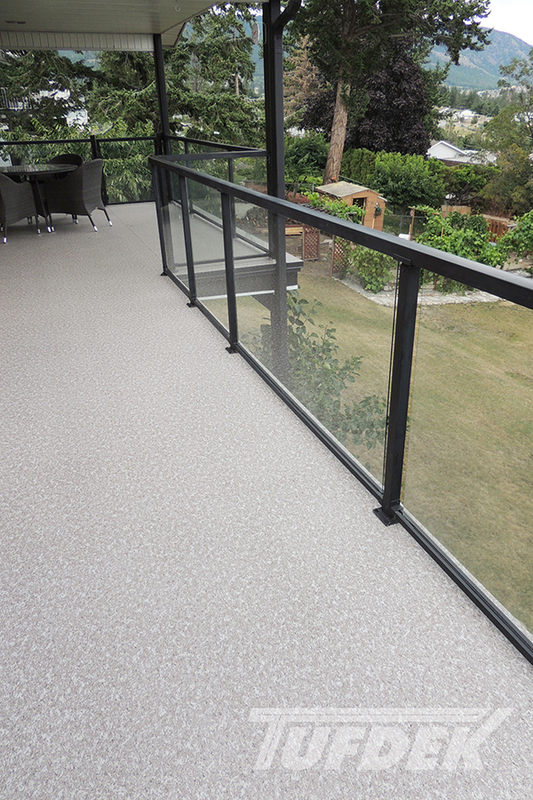 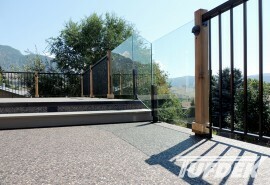 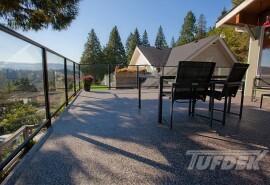 Although low maintenance, Tufdek waterproof vinyl decking products can stand up to regular traffic from people and pets. 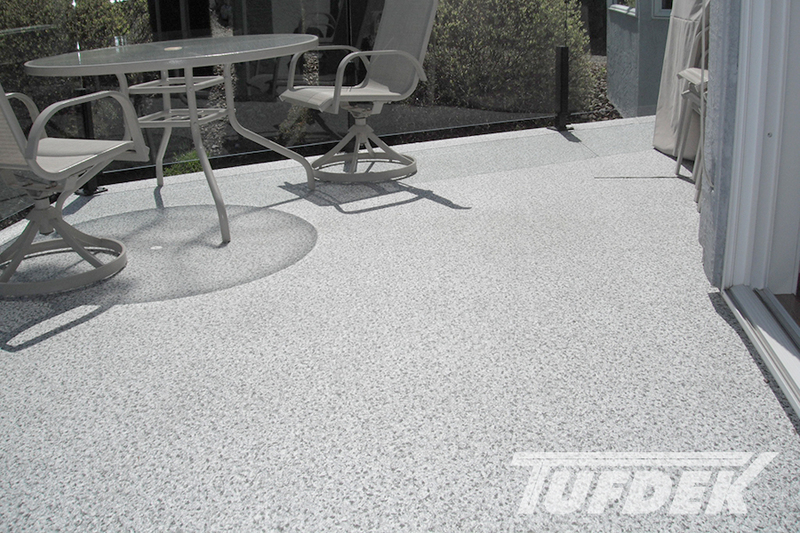 Our Aqueous based inks with revolutionary Polycarbonate top finish provide a scratch, dent, and UV-resistant waterproof flooring solution. 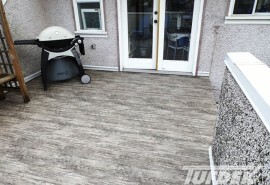 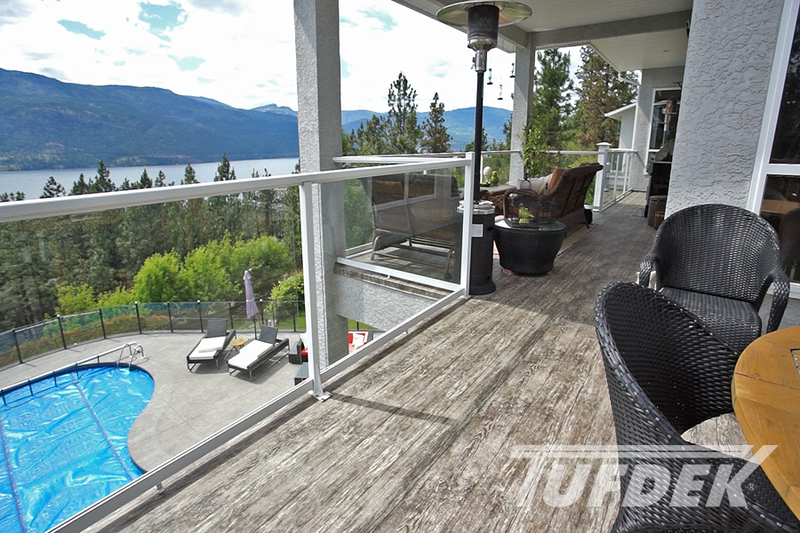 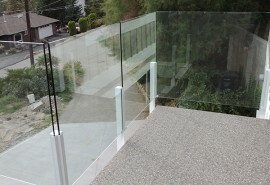 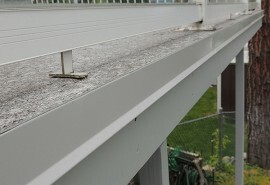 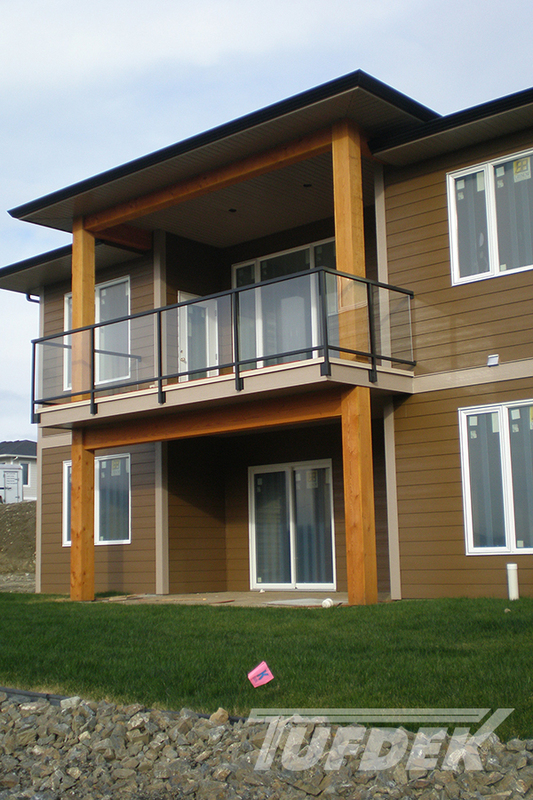 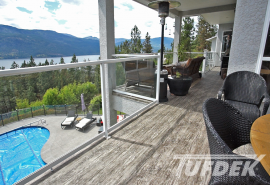 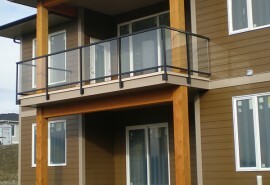 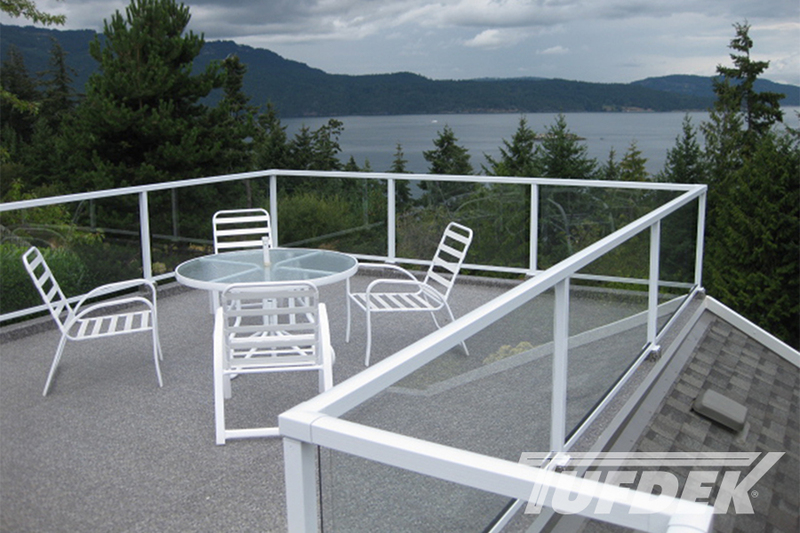 View our deck photo gallery below with images of residential waterproof decking installations for new and existing balconies, sundecks and patios, plus roof decks, and pool surrounds. 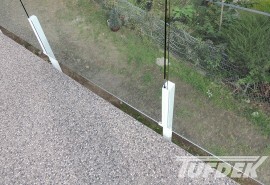 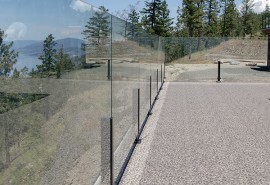 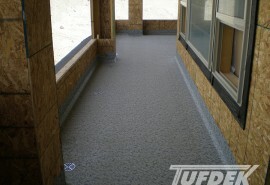 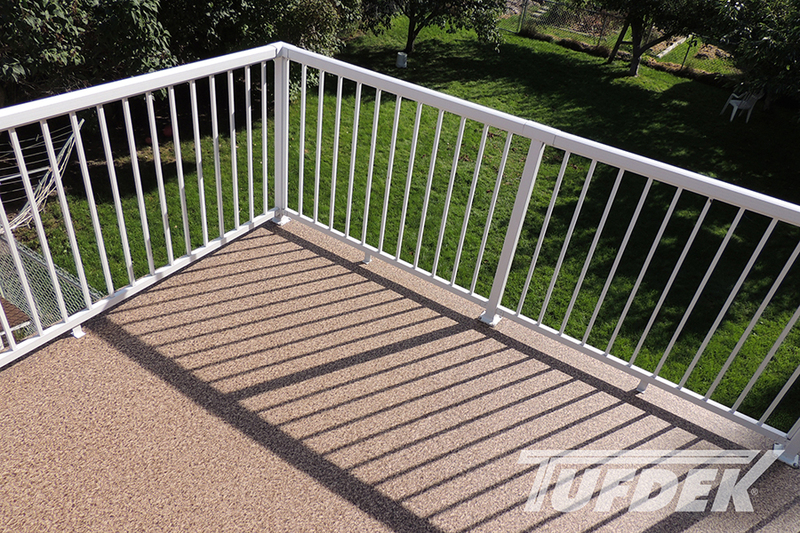 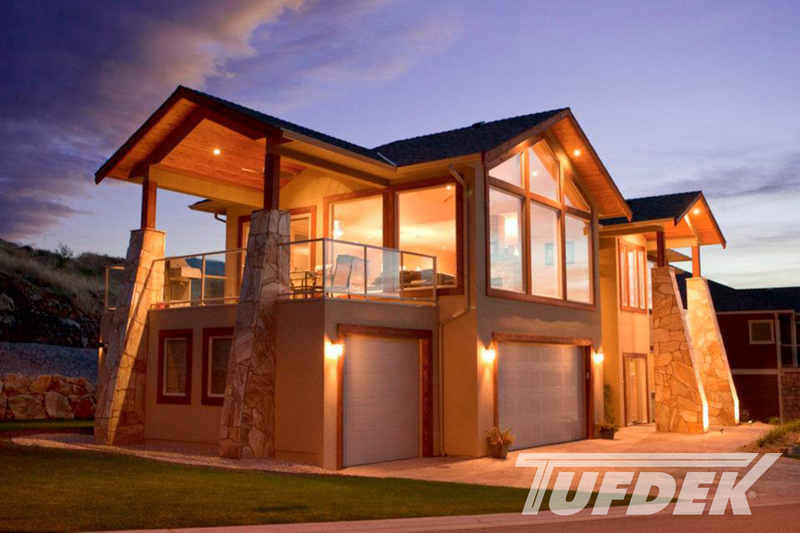 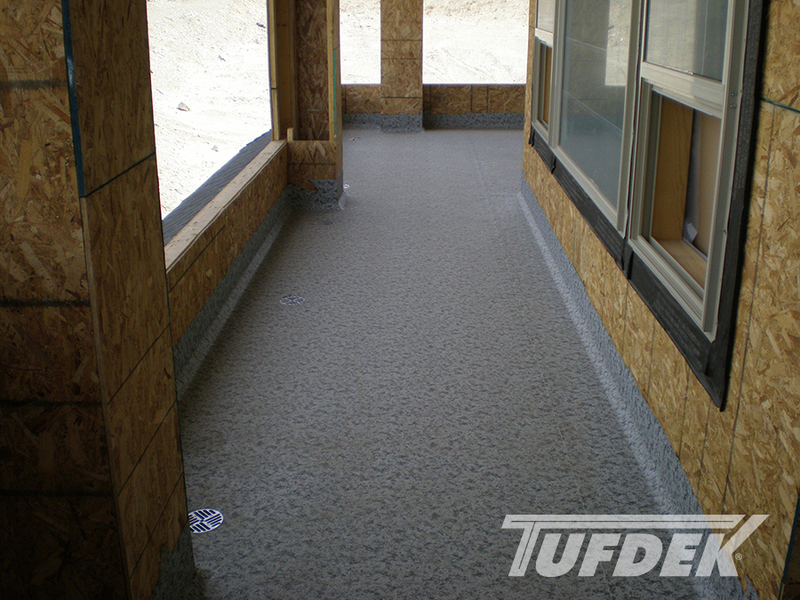 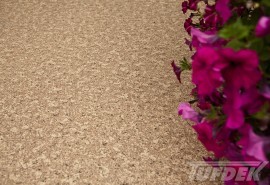 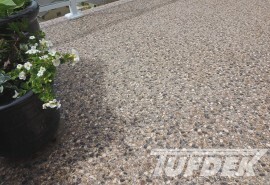 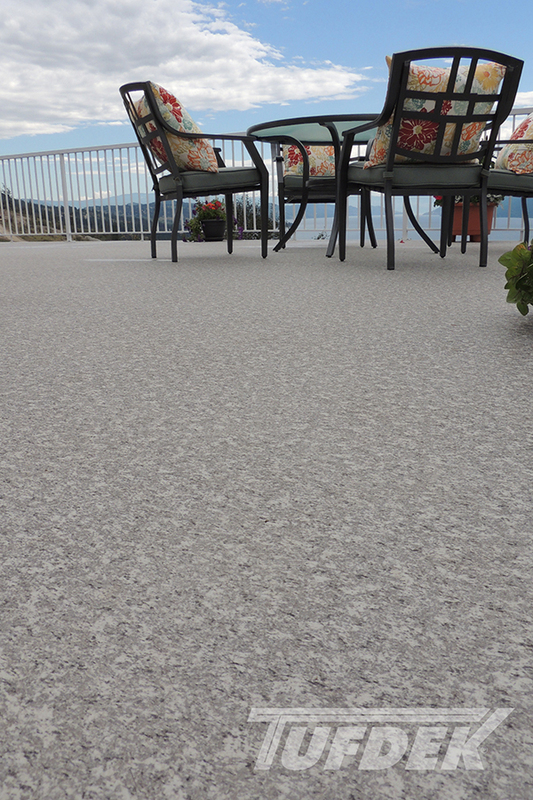 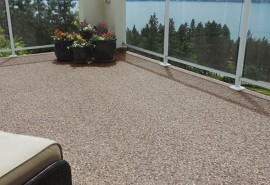 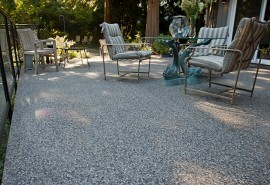 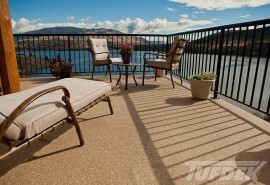 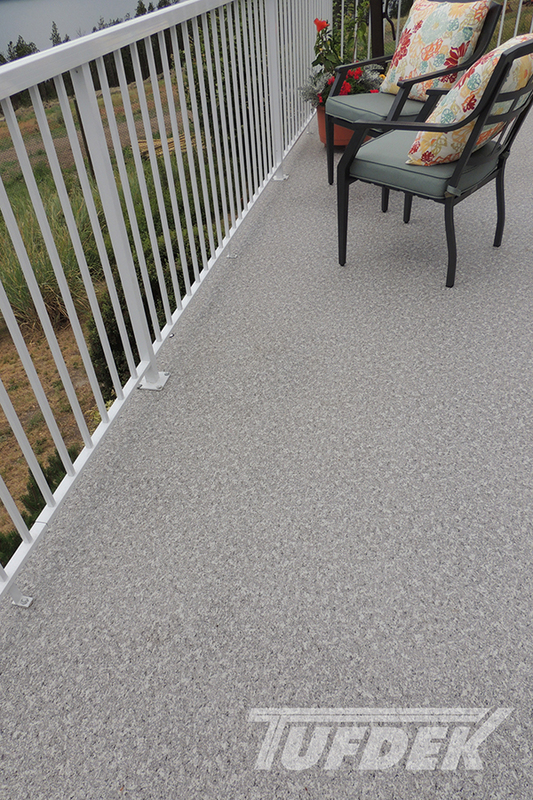 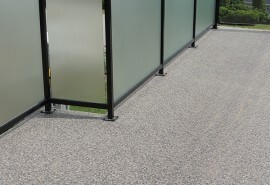 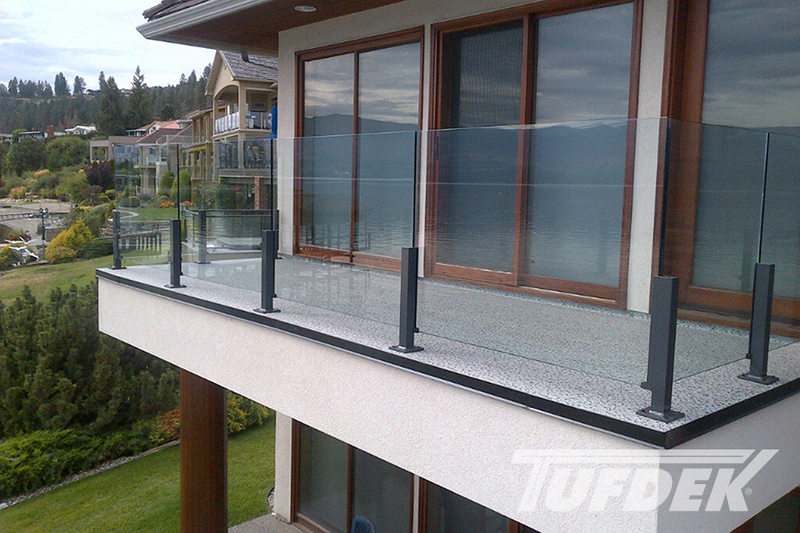 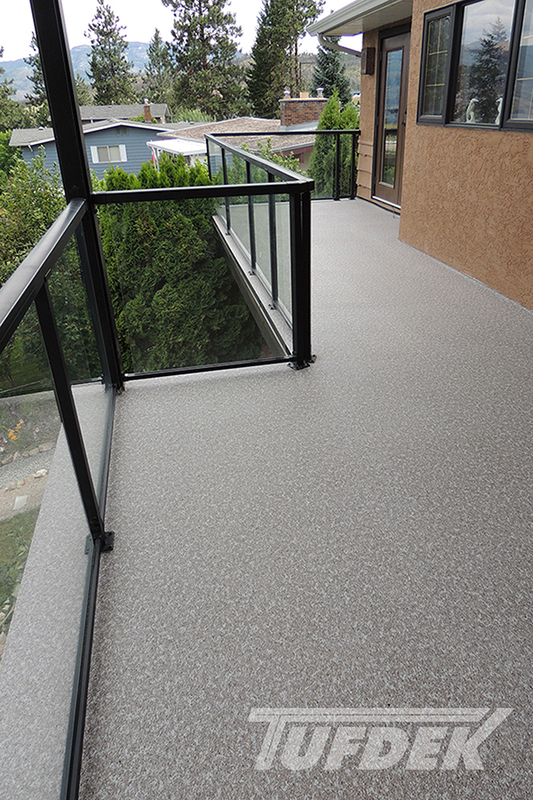 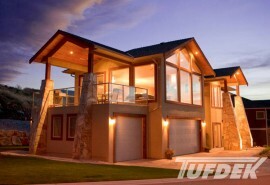 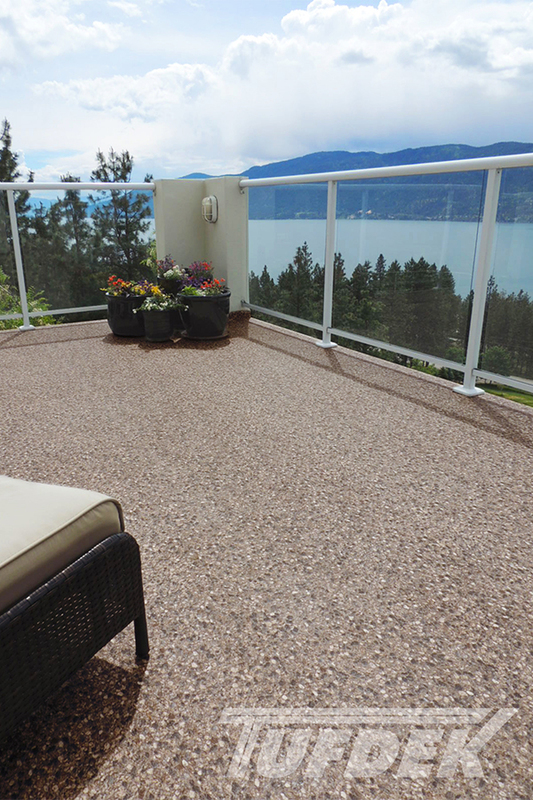 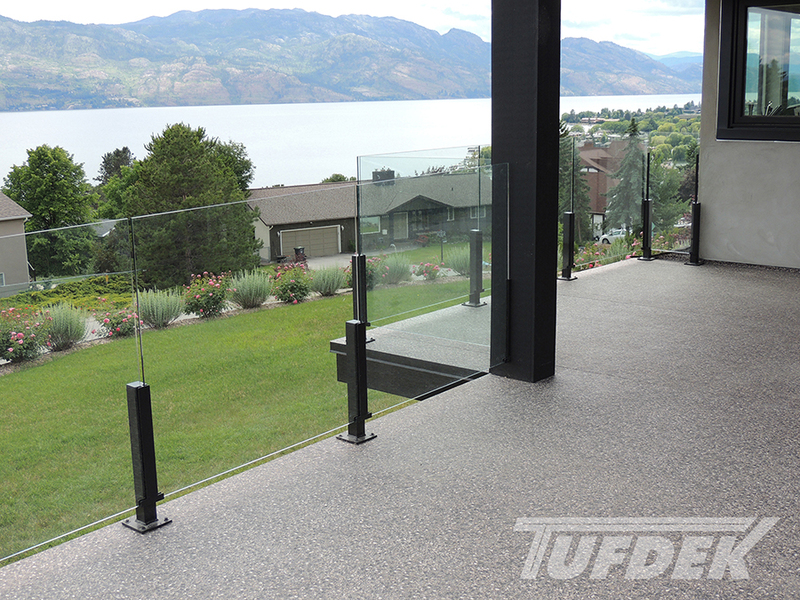 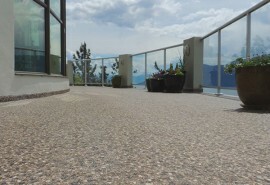 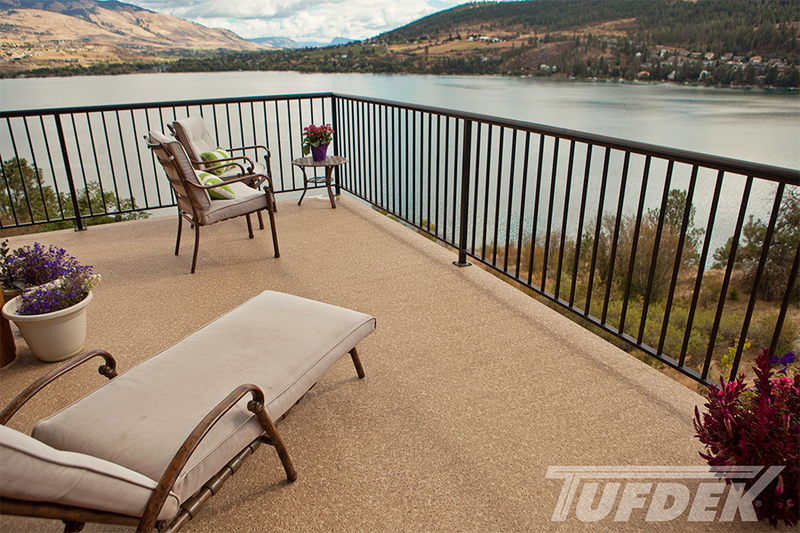 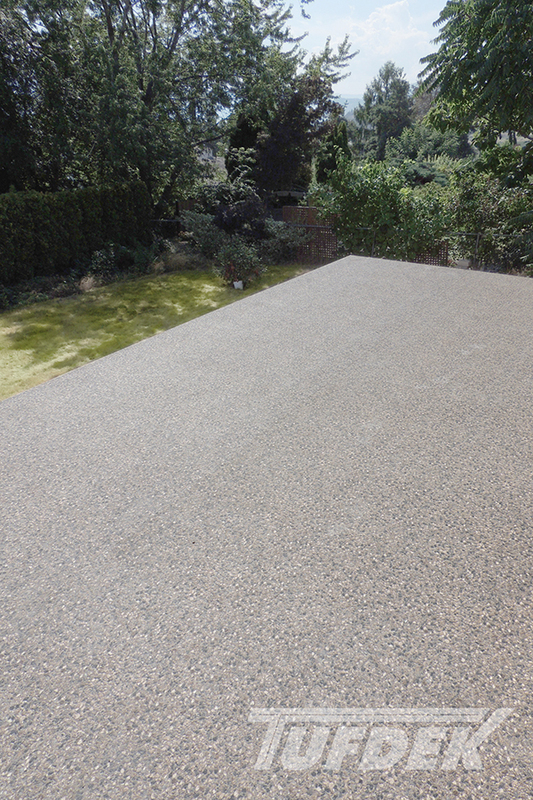 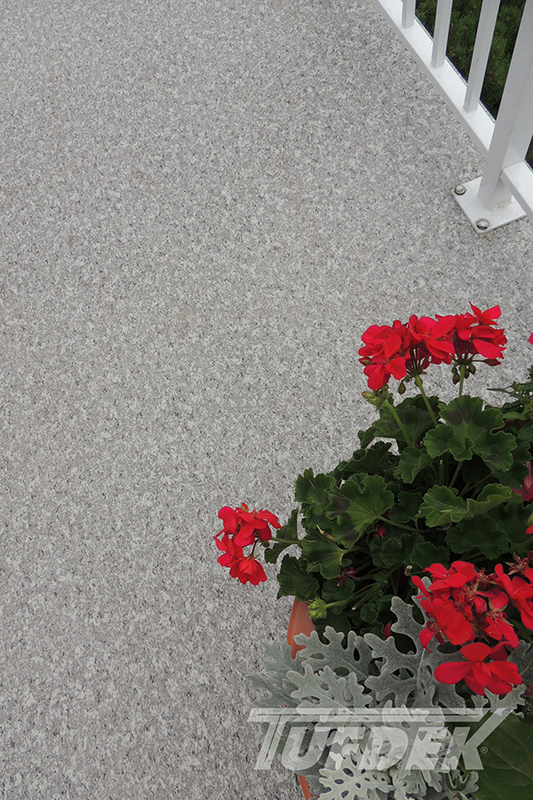 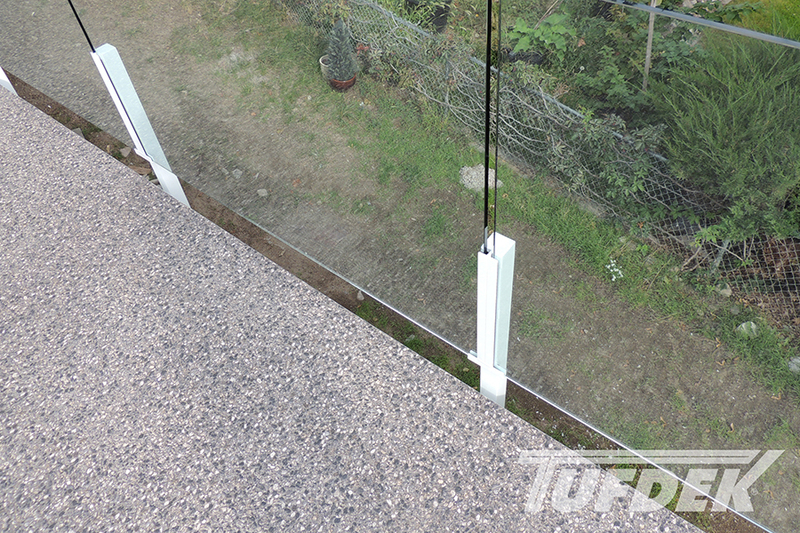 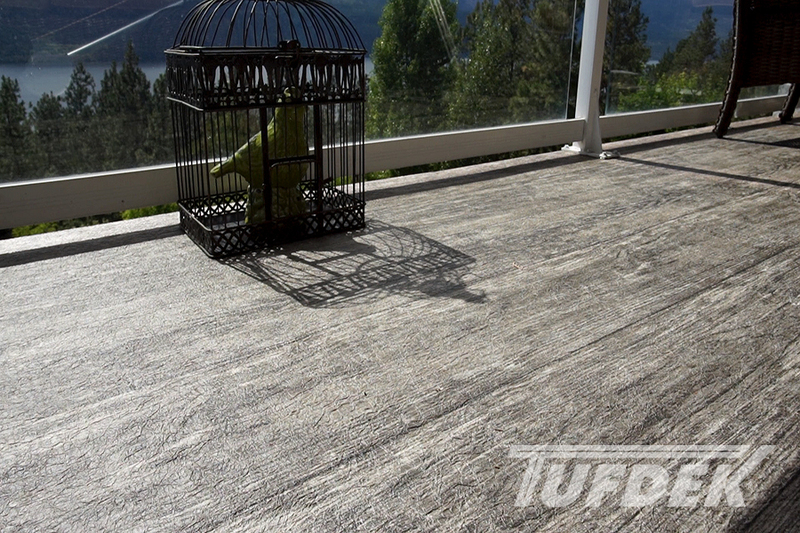 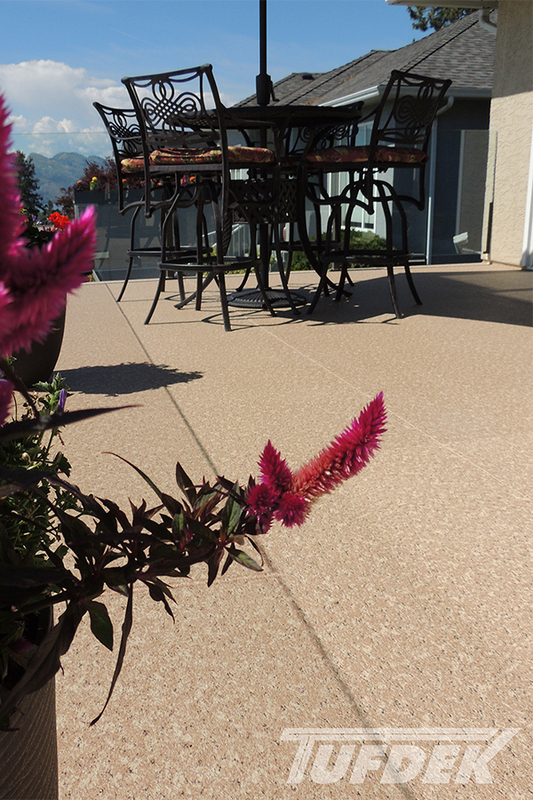 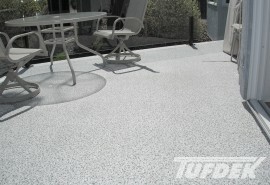 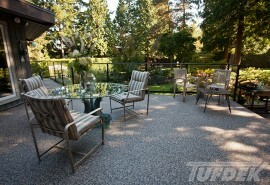 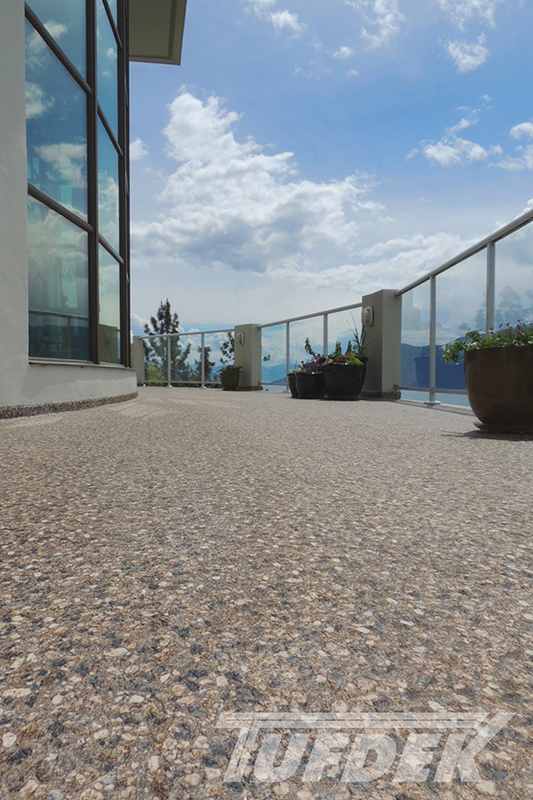 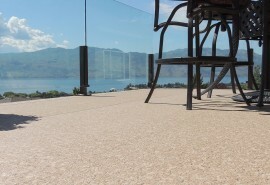 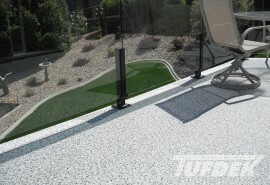 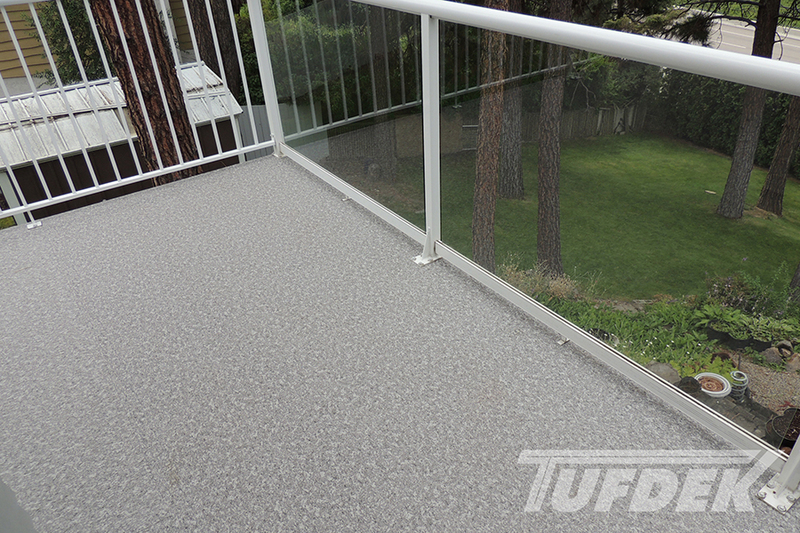 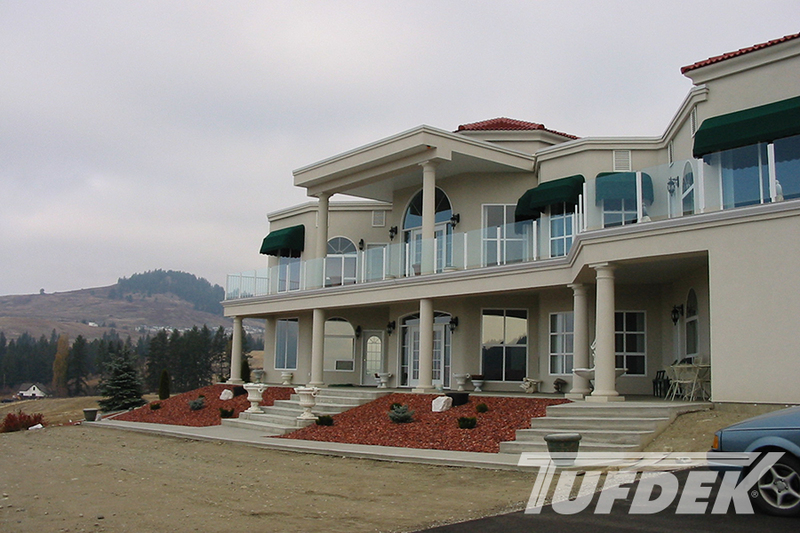 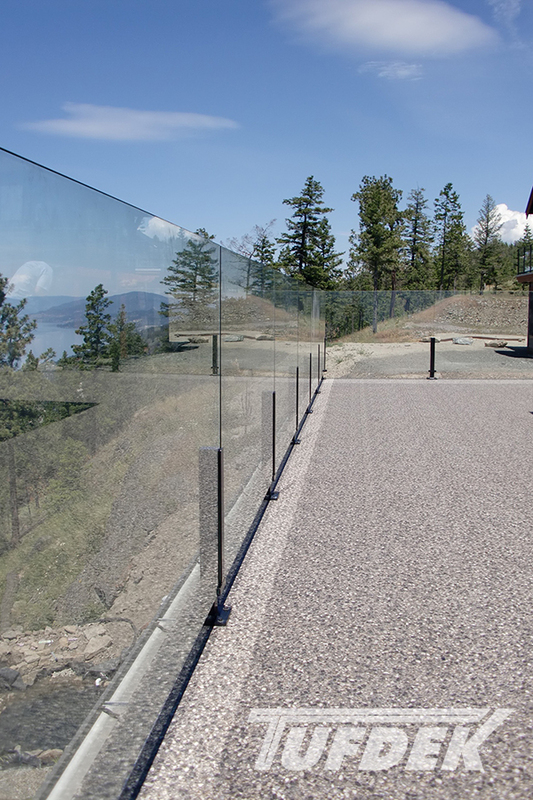 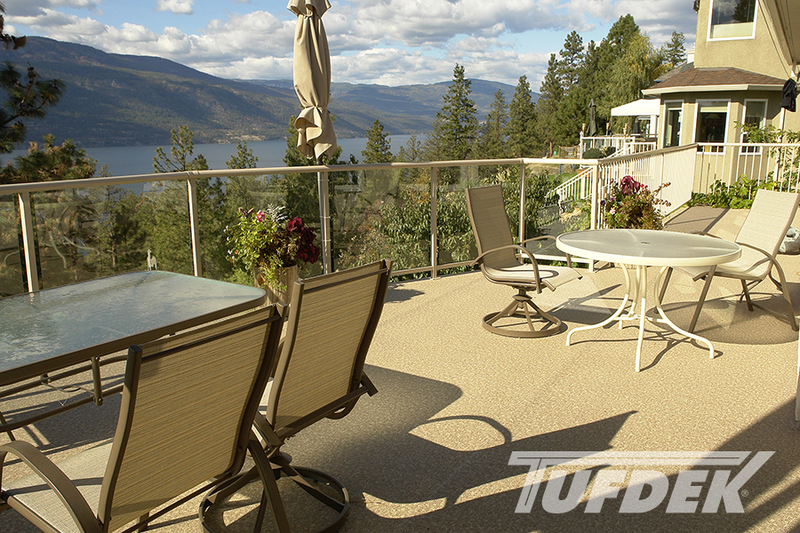 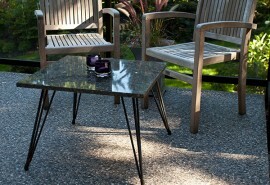 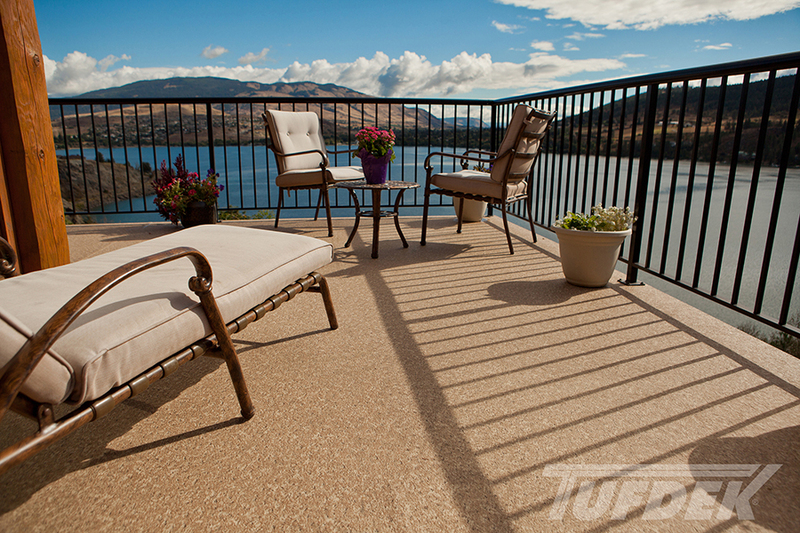 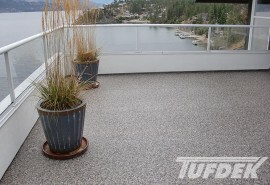 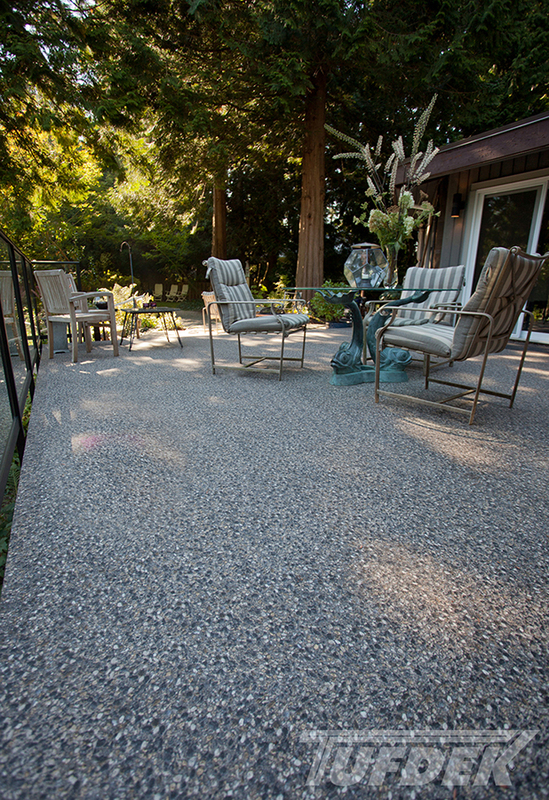 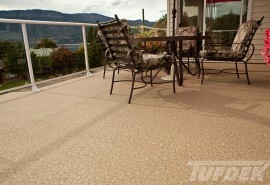 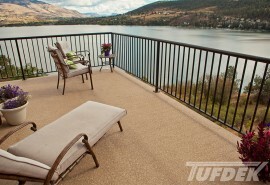 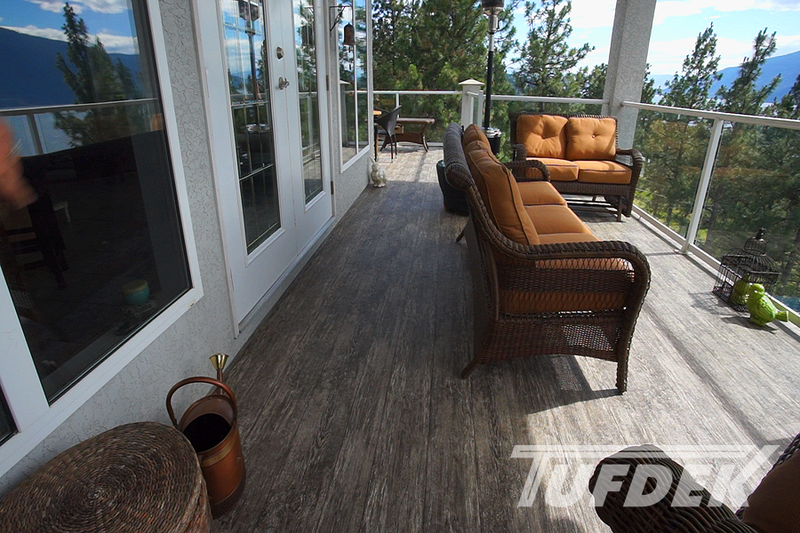 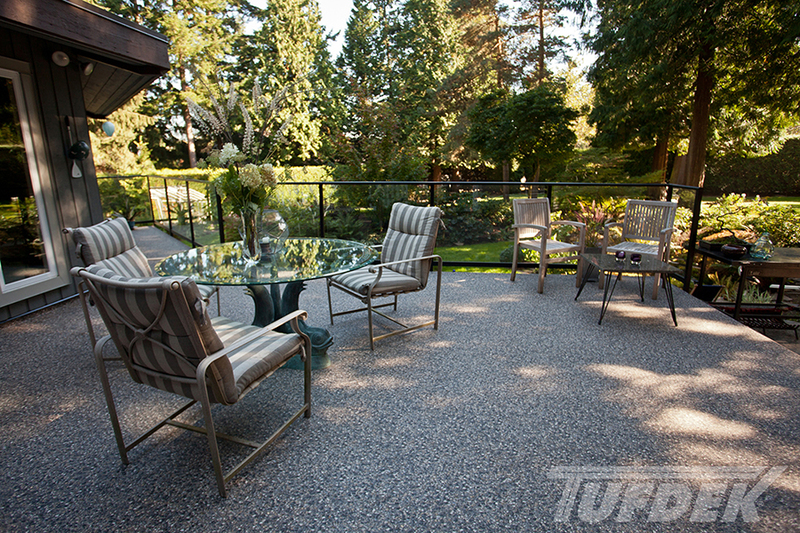 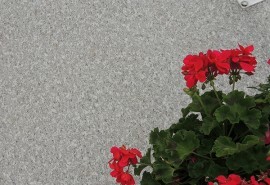 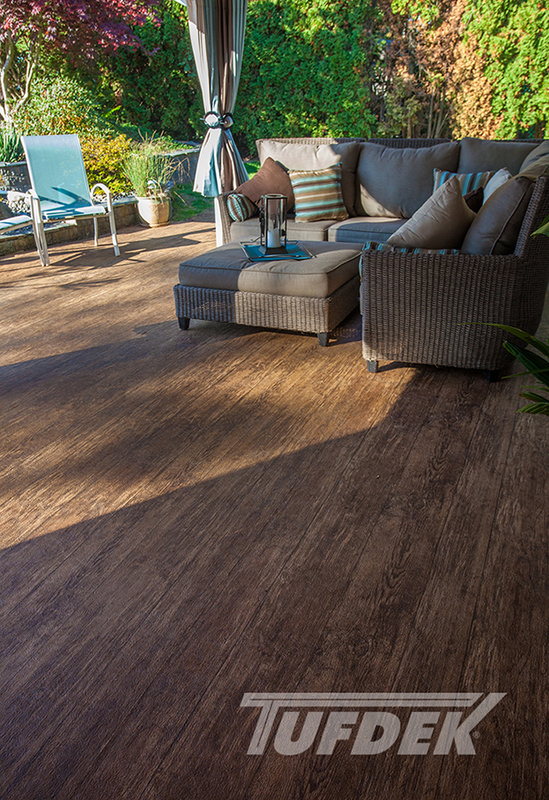 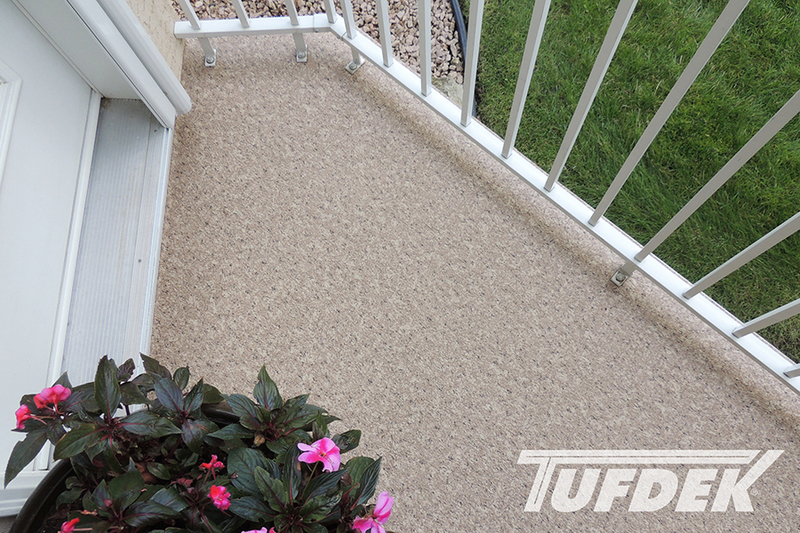 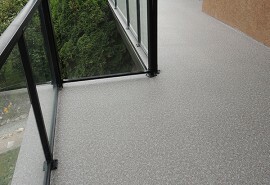 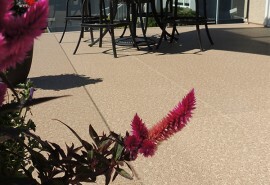 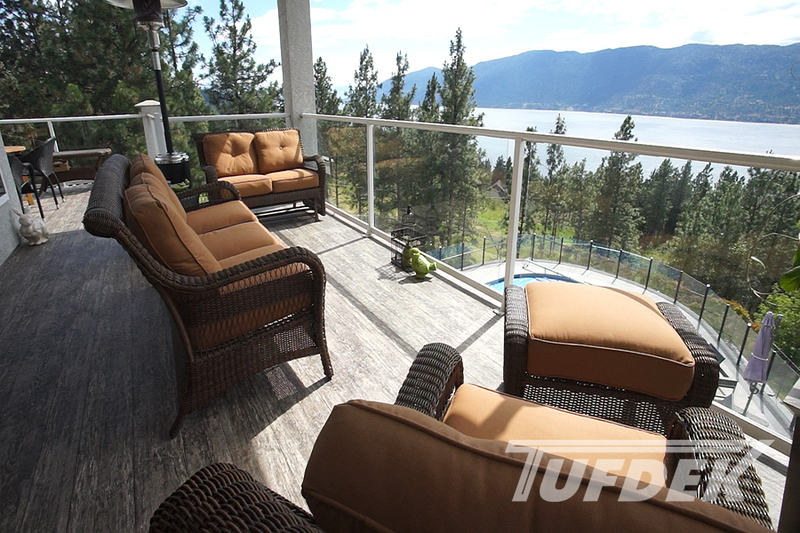 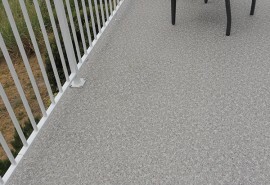 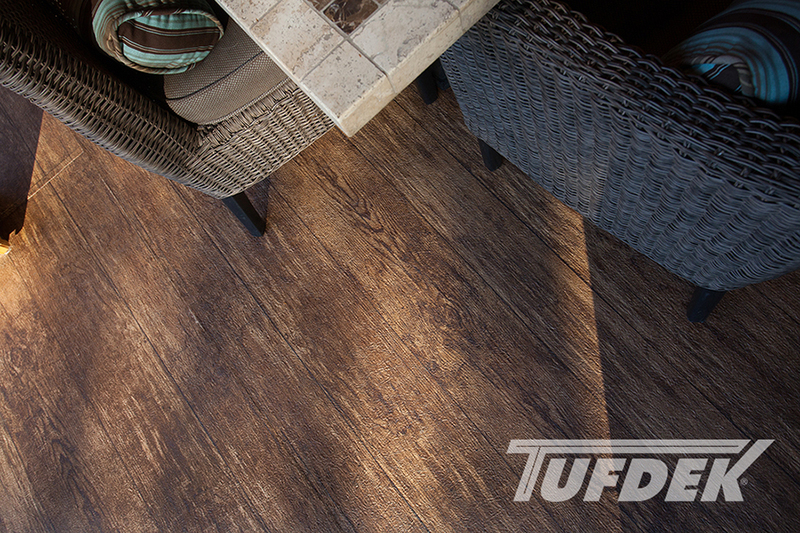 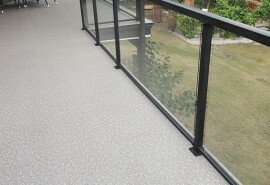 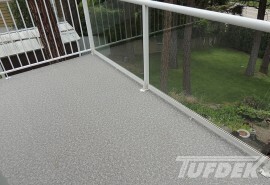 Tufdek provides a worry-free waterproof vinyl surface that will last.